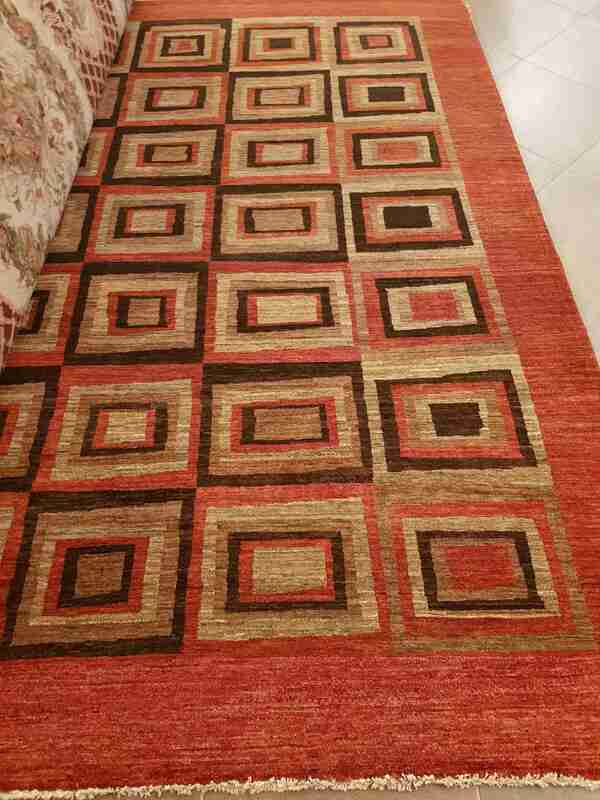 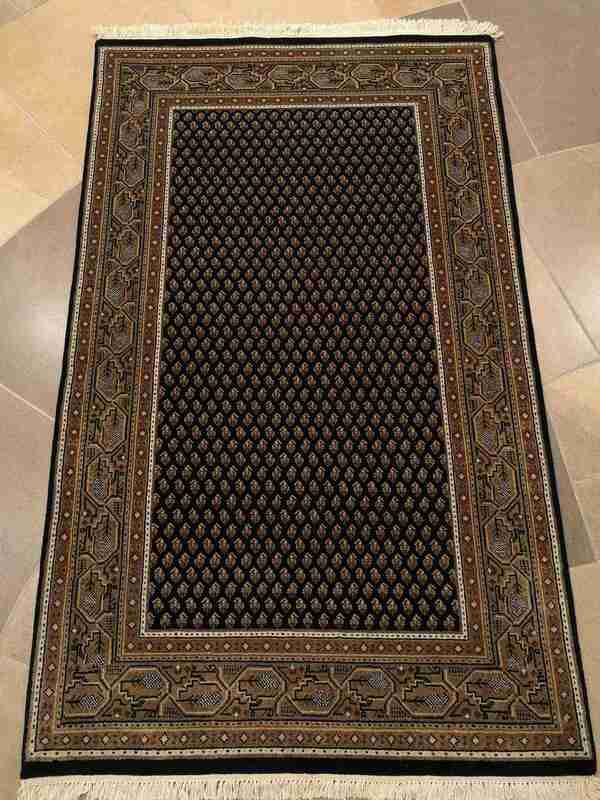 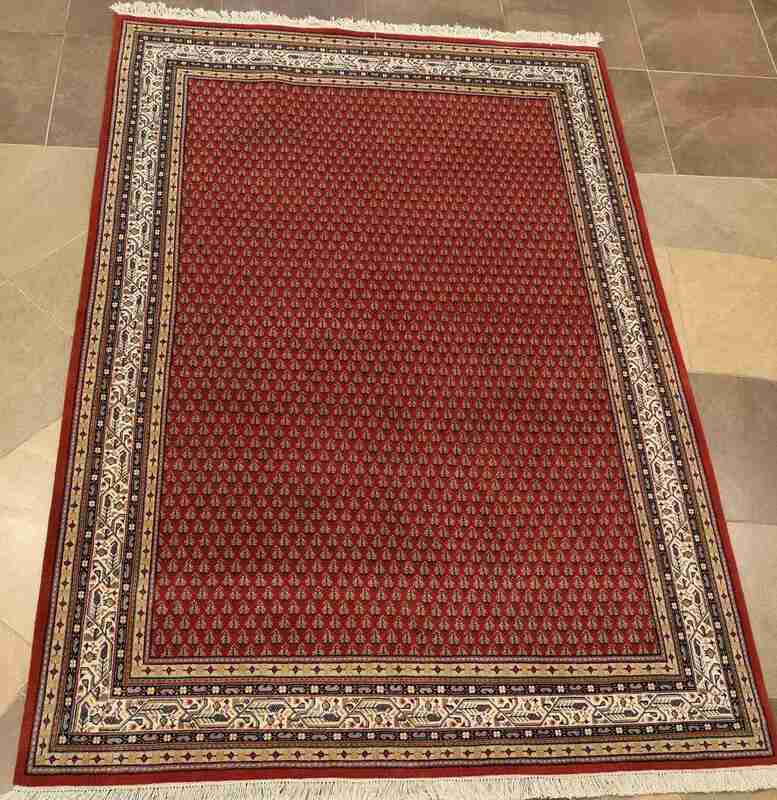 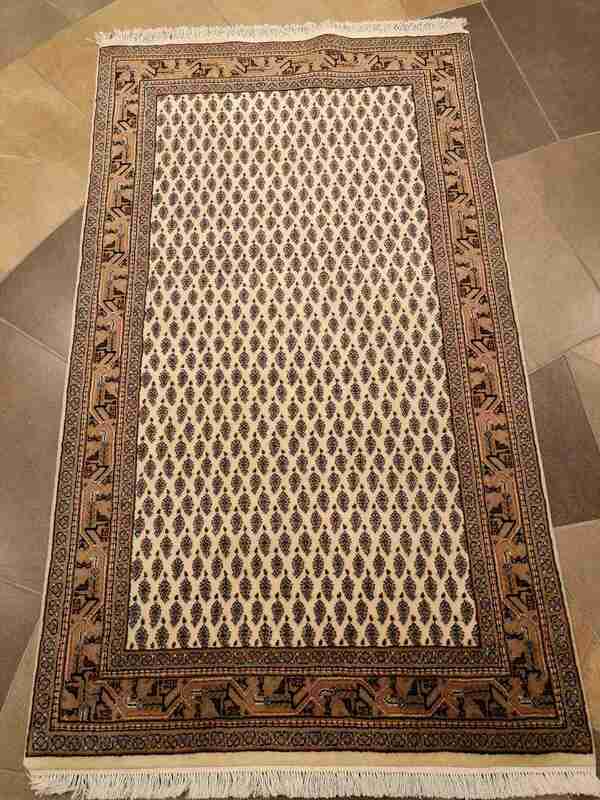 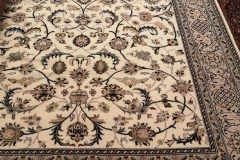 Handmade carpets are easy to maintain and so durable, they usually last a lifetime. 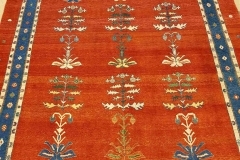 With their harmonious colors they create a cosy atmosphere and have been appreciated in every sophisticated home for centuries. 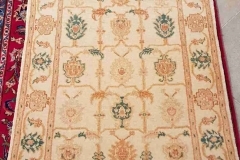 Thanks to our long-standing business relationships with craftsmen, wholesalers and other merchants we are in a position to guarantee products of first quality at reasonable prices. 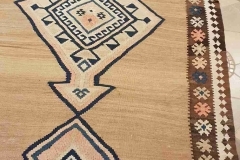 Since we are convinced of the quality of our products, we offer you the opportunity to try our pieces at your premises without any engagement. 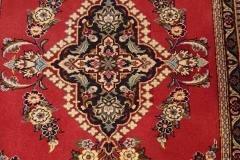 Upon consultation we will bring the requested items to your premises for you to try them in situ before you make your final purchase decision. 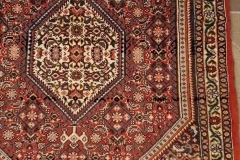 We will deliver purchased goods as well as goods on approval to your premises free of charge within a certain distance from Riga. 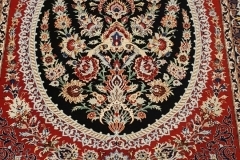 We also ship to many other locations in Latvia and abroad. 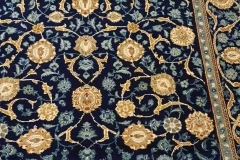 We are pleased to advise you on the interior design of your premises with particular regard to all aspects of decorating with carpets. 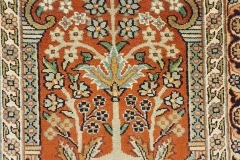 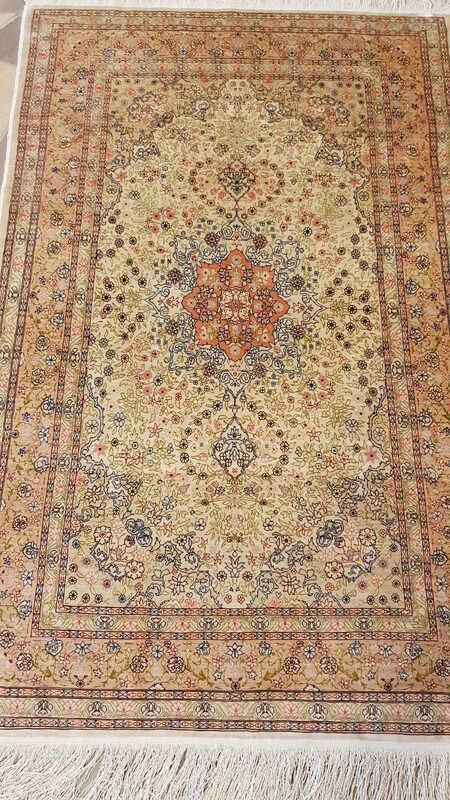 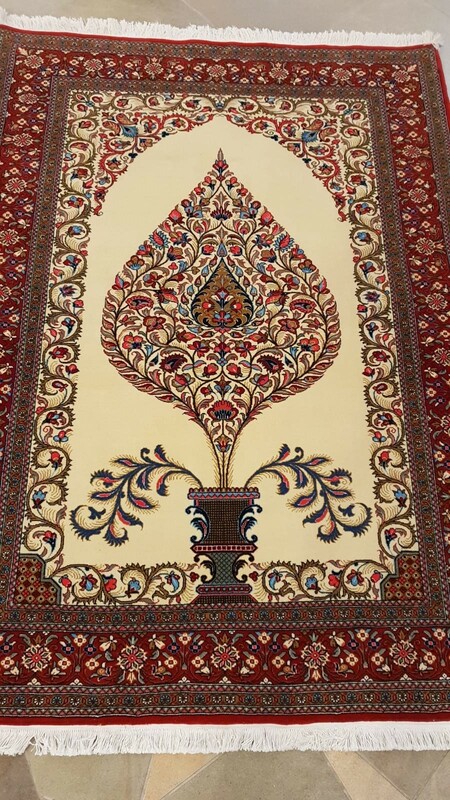 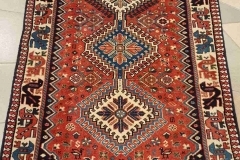 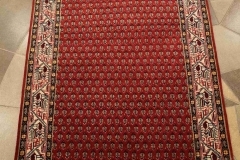 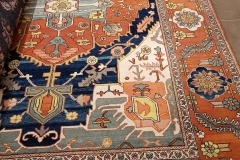 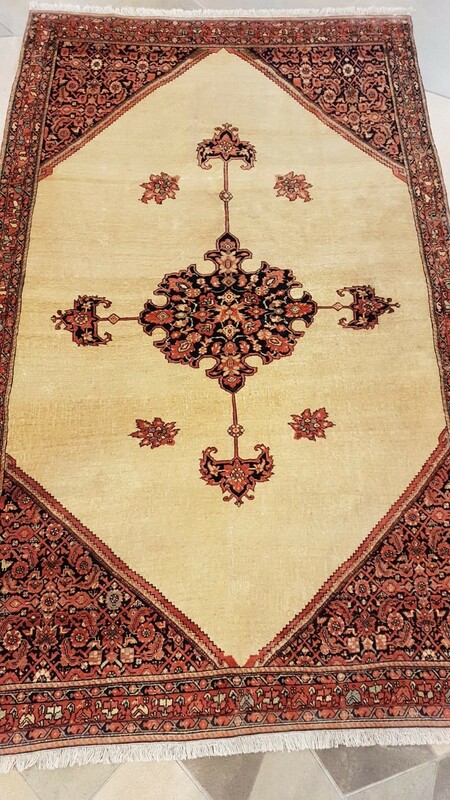 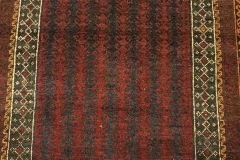 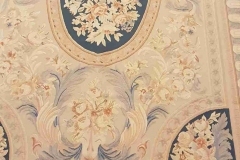 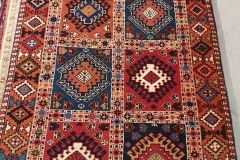 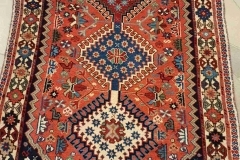 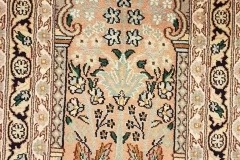 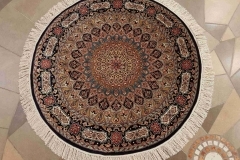 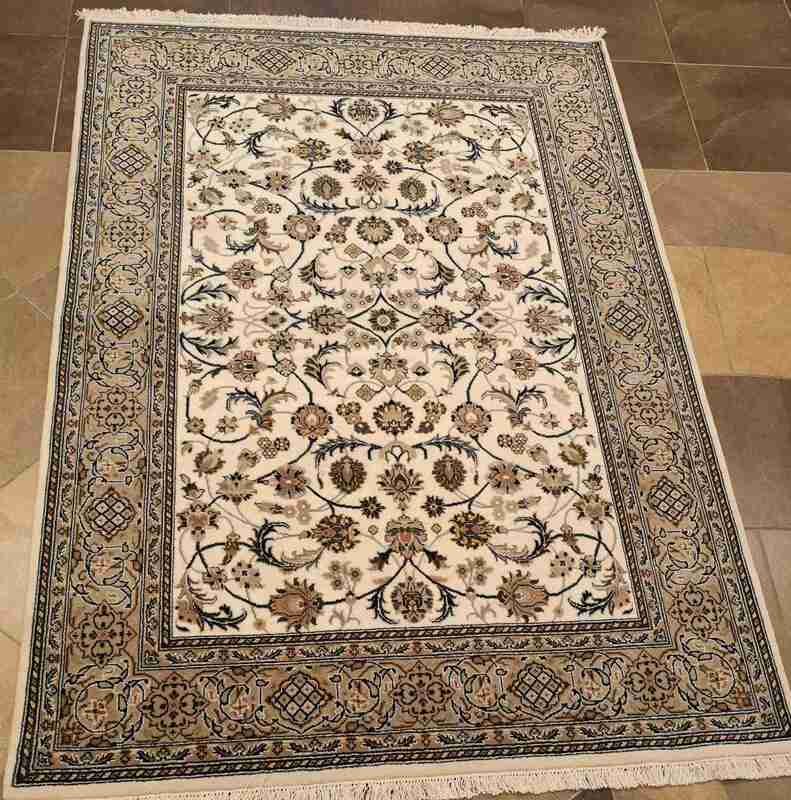 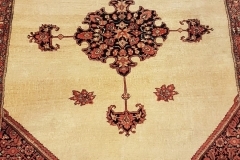 As each Oriental carpet is unique, we understand that it can be challenging to find the perfect piece for your requirements. 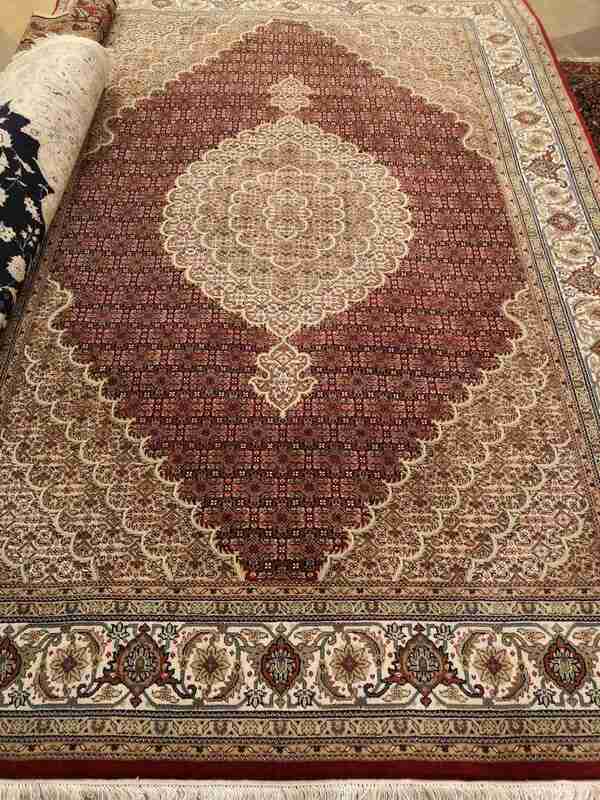 For this reason we offer free consultation in our retail store, online and even at your premises. 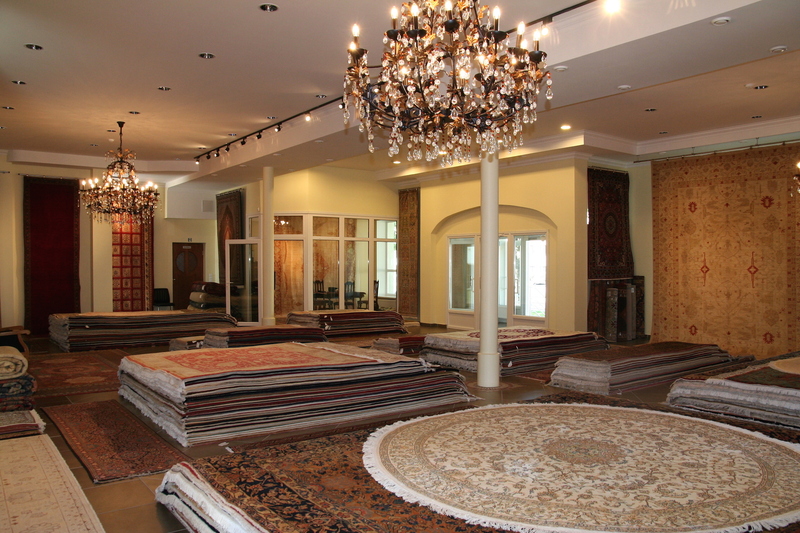 We are also happy to work closely with interior designers and other experts seeking to please their clients. 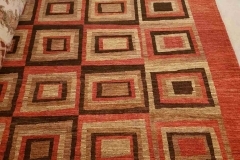 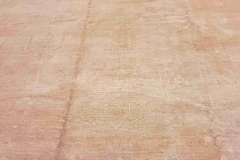 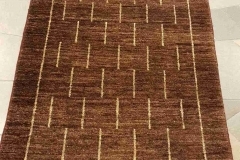 If you are looking for a specific carpet and you know exactly what you want or at least some criteria, we are very likely able to find the ideal piece for you (assuming that it actually exists). 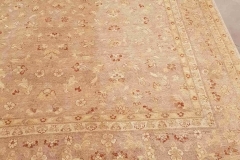 We provide you with the opportunity to trade in your old carpet for a discount on a new one. 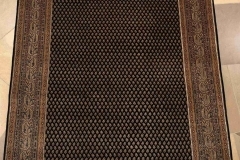 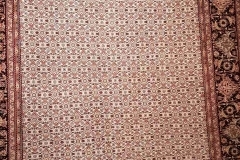 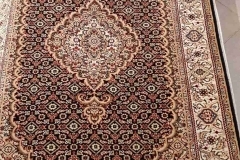 In certain cases we will offer to purchase your carpet, even if you will not decide to buy a new one. 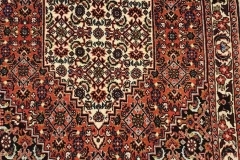 Afkhami Nasser is the largest retailer of Persian and other Oriental carpets in the Baltic states. 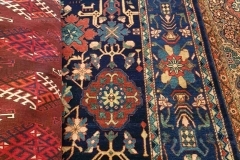 The retail store in Riga, Latvia was established in 2013 and reopened at its current location within the city in 2015, offering a wide range of fine, handmade carpets with both traditional and contemporary designs. 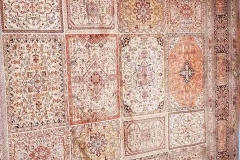 The store is the latest in a series of carpet stores throughout Germany and Central Europe created by carpet expert Nasser. 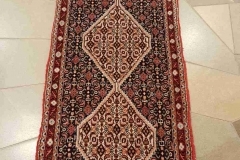 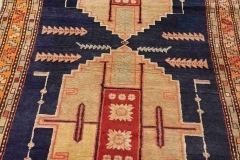 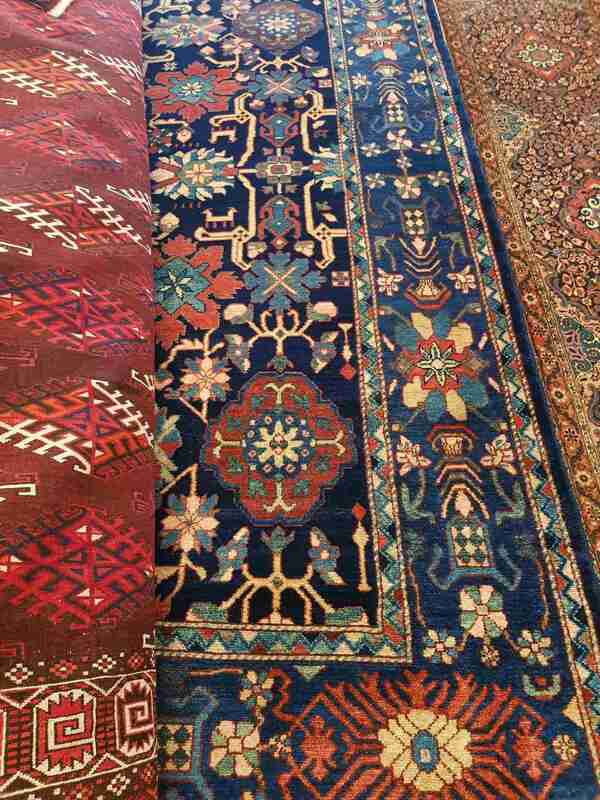 Nasser became acquainted with this ancient tradition in his native country Iran and has more than 45 years of experience trading and collecting Oriental carpets. 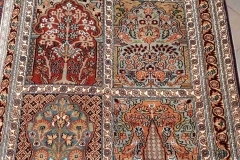 The Iranian carpet expert Afkhami Nasser is excited about the Latvian people’s big interest in hand-knotted carpets. 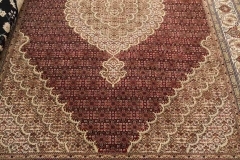 The recommendations by satisfied customers increase the demand for this product. 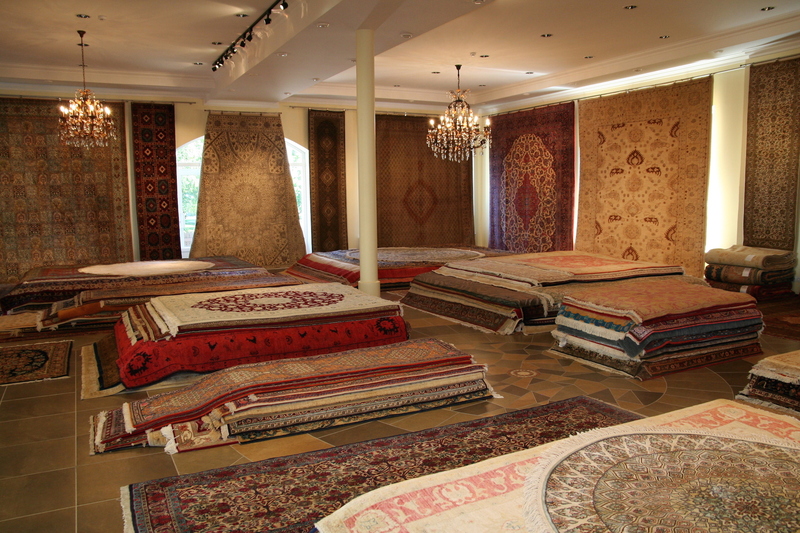 After all, everyone can benefit from Nassers 50 years of experience to learn more about carpets. 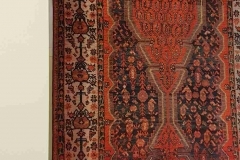 When he was 18 years old, Afkhami Nasser was interested in hand-knotted carpets and thus began to learn how to knot and repair carpets in the Grand Bazaar in his hometown Teheran. 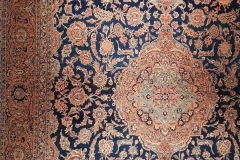 The Grand Bazaar in the Iranian capital is the largest bazaar in the world and also the largest trading place for handmade carpets. 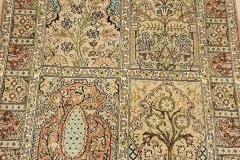 At the age of 23 Nasser went to Germany and worked in the carpet industry with his older brother. 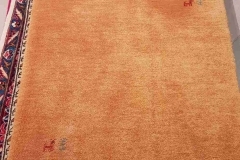 When he was 30 he opened his first carpet store in Bonn, the capital of West Germany. 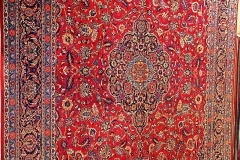 His old contacts proved useful for that because he was able to import the goods directly from the Grand Bazaar in Teheran. 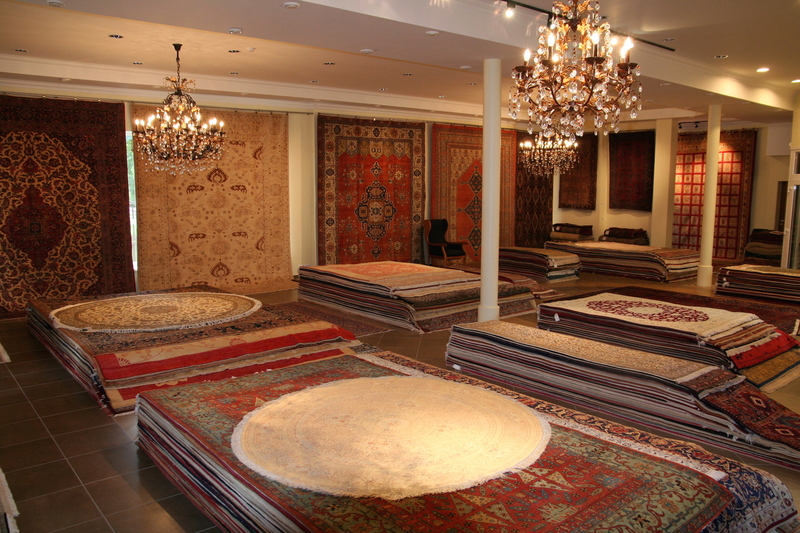 Nassers main supplier from there was the well-known Amini family. 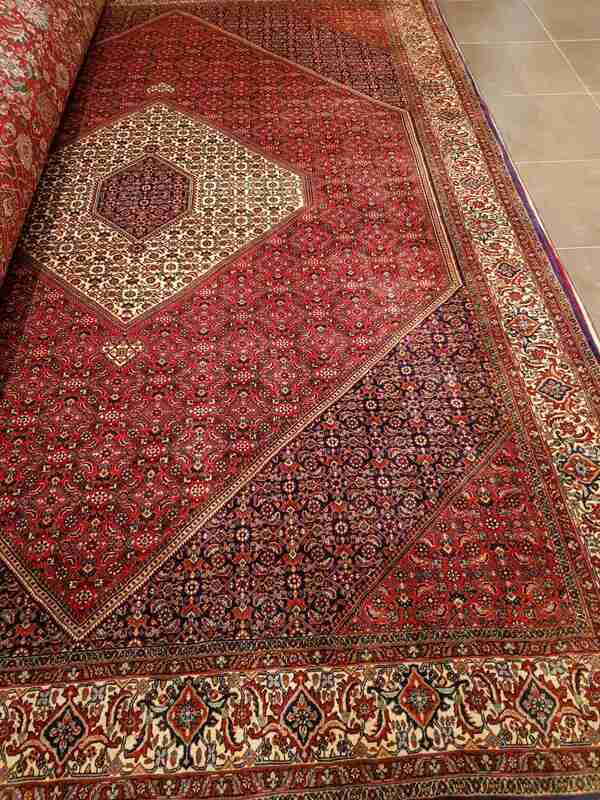 At the age of 41 he married Gohar Amini, the daughter of this supplier. 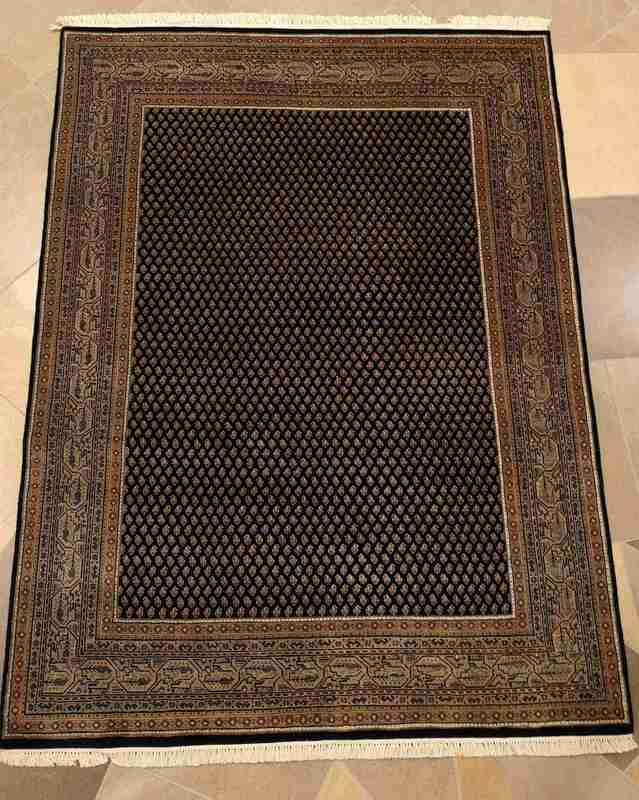 Then Afkhami Nasser opened carpet showrooms almost everywhere in Germany. 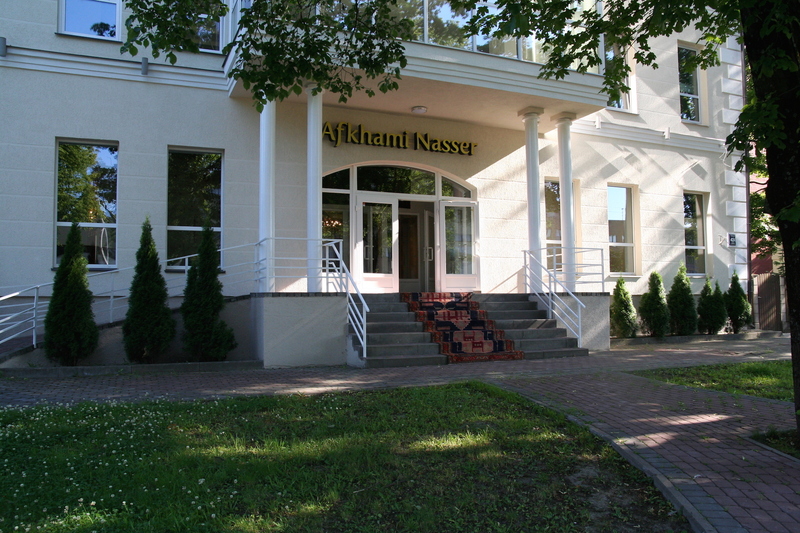 2009, at 58 years old, he started to open showrooms Europe-wide, including in Bucharest, Bratislava, Ljubljana, Tallinn, Riga and Vilnius. 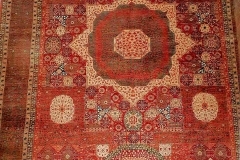 The largest interest in handmade carpets was in Riga, so Nasser stayed there permanently since 2011. 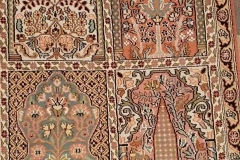 Since then he runs the largest store for hand-knotted carpets in the Baltic, first in Ganību dambis, a few years later in Brīvības iela and since 2015 in Brīvības gatve 424. 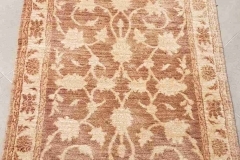 Client satisfaction has always been at the core of our philosophy, which is why we go beyond our store inventory to find the ideal carpets for our clients. 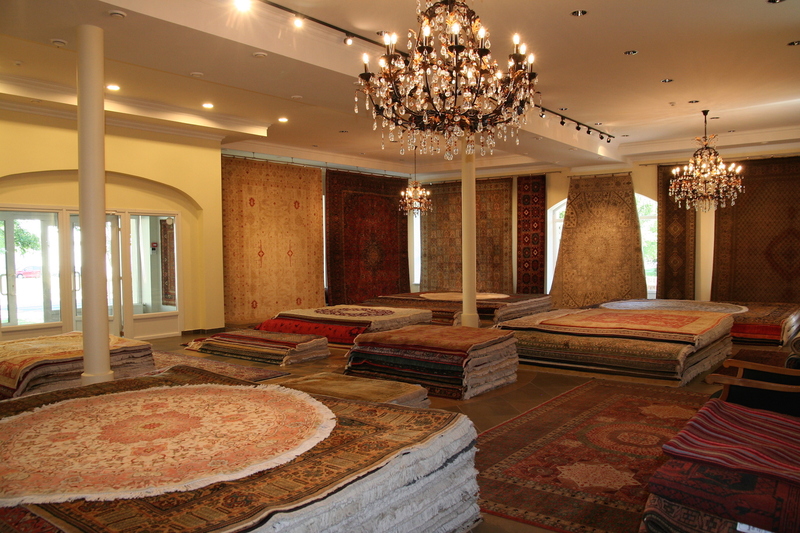 In addition, we offer numerous services which we know are valuable to our clients. 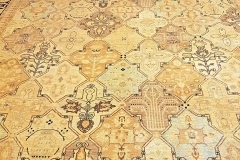 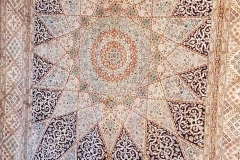 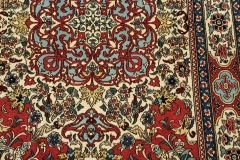 Oriental carpets rank among the most powerful products in interior design due to their comfort, beauty and durability. 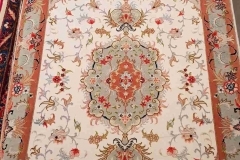 They have the power to transform rooms by creating a comfortable atmosphere and a beautiful room design and they will probably last longer than your house. 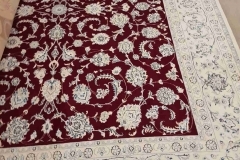 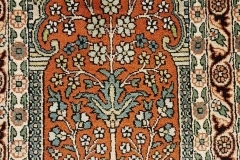 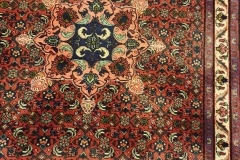 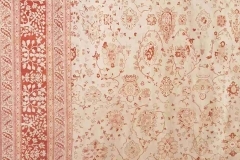 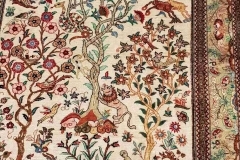 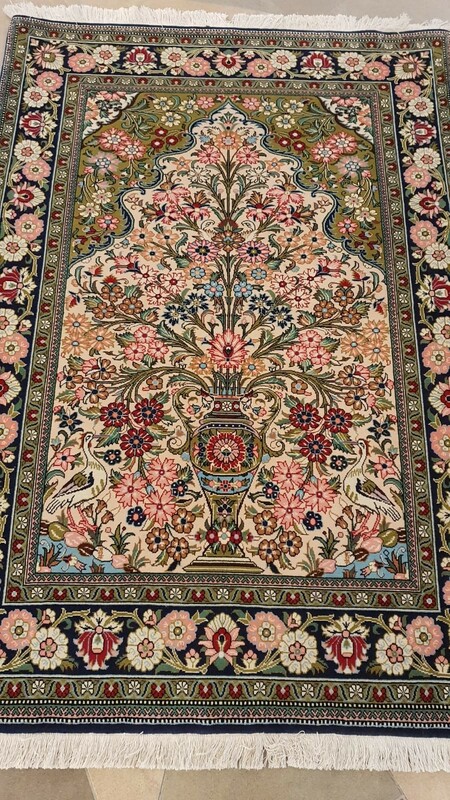 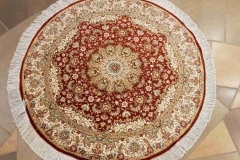 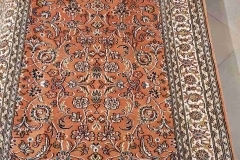 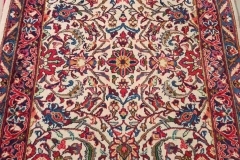 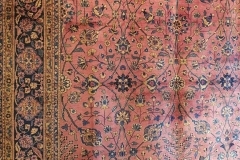 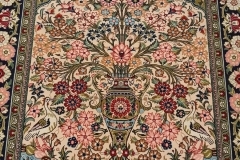 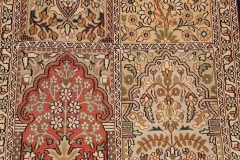 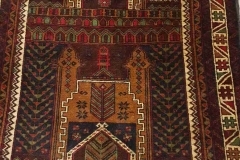 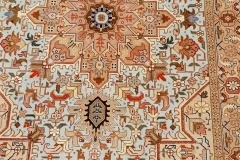 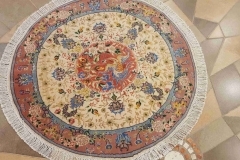 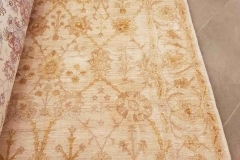 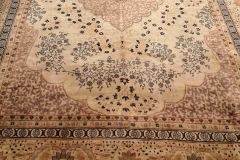 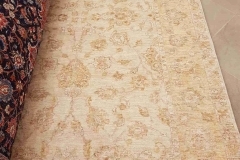 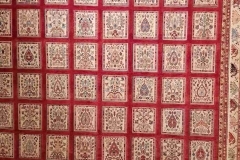 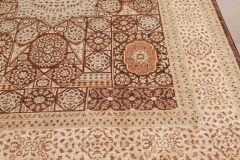 Each authentic Oriental carpet is a unique piece of art, handmade by expert carpet makers in a complex and tedious process which can take up to several years to complete, depending on the fineness and size of the carpet. 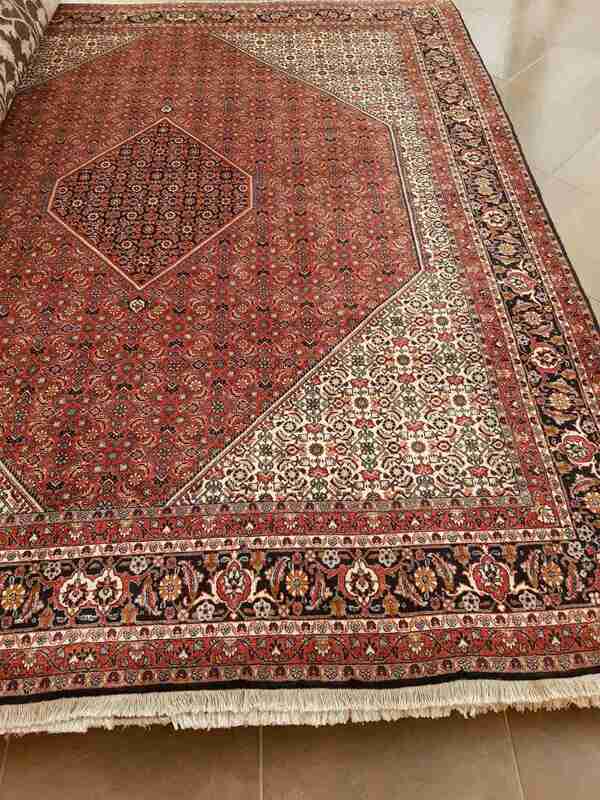 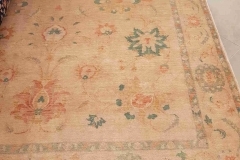 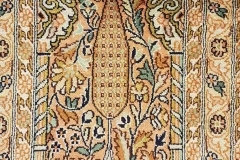 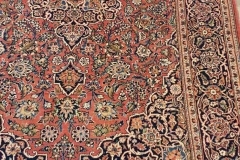 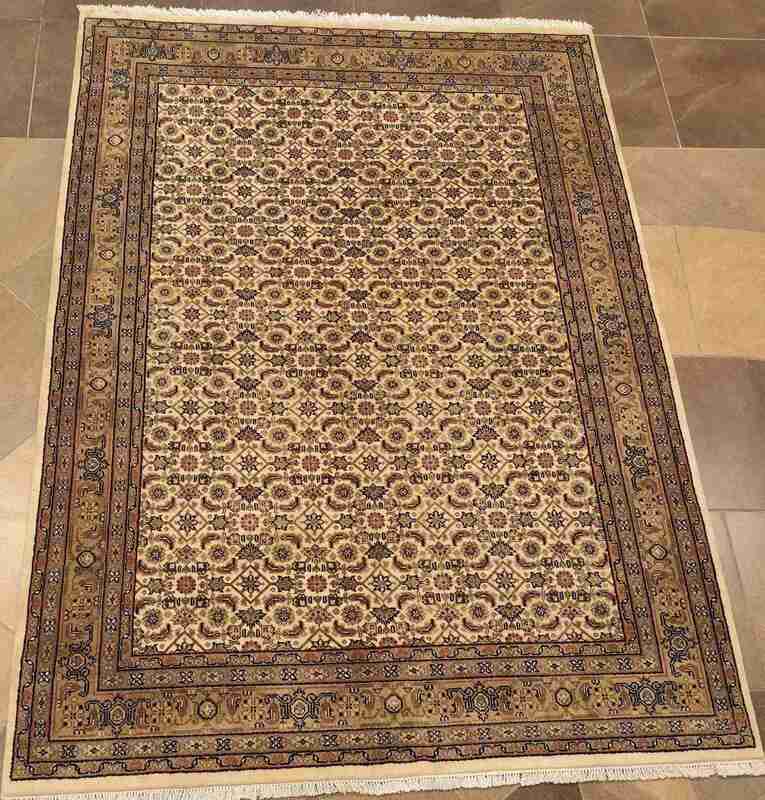 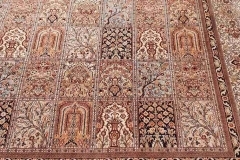 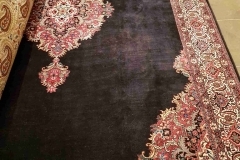 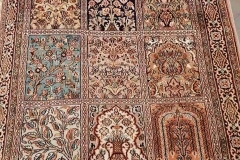 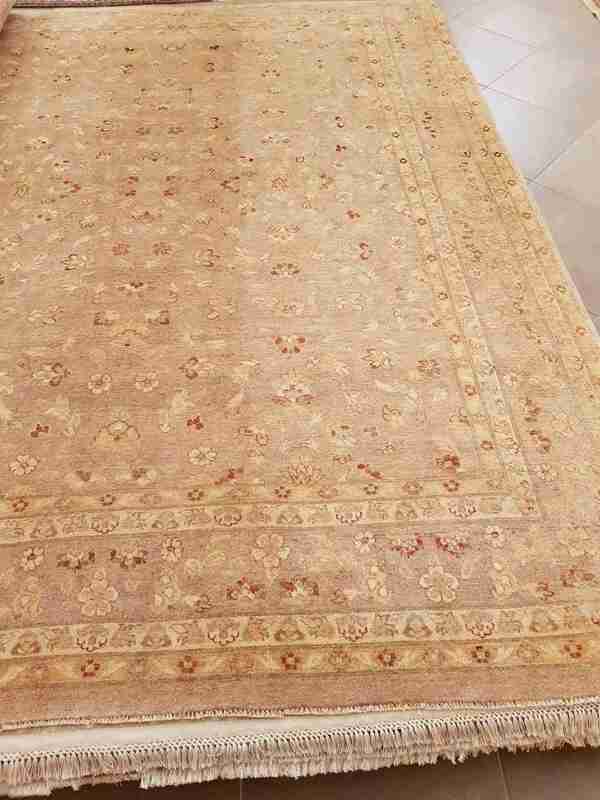 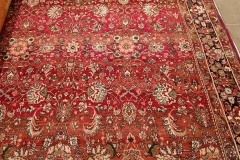 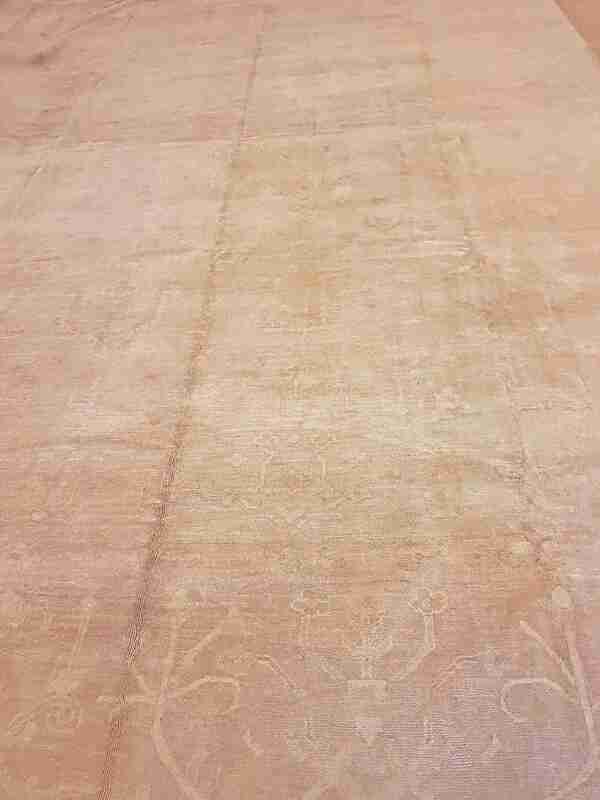 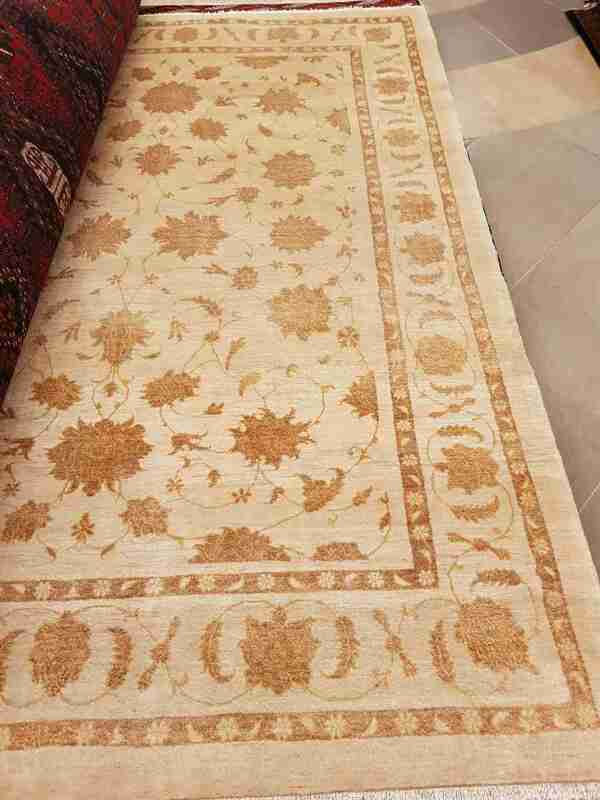 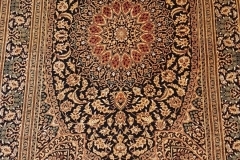 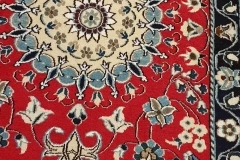 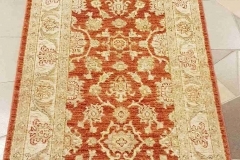 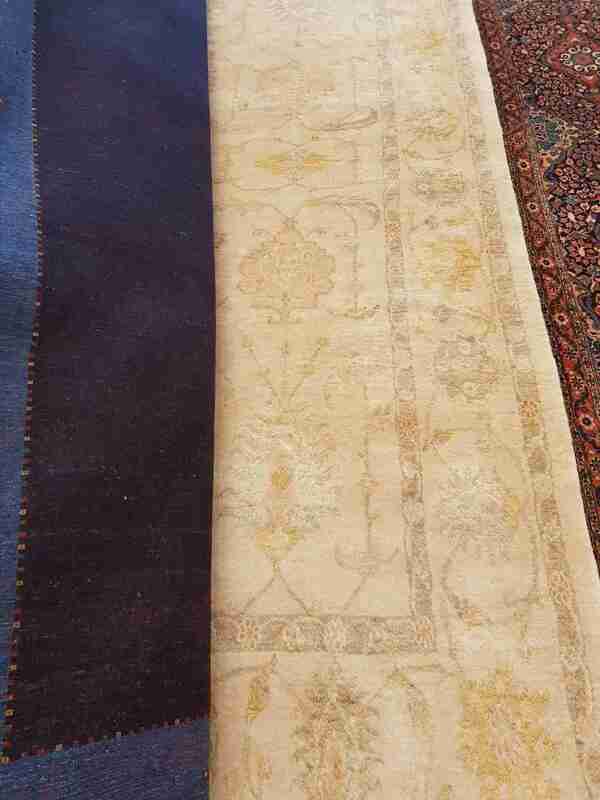 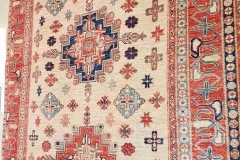 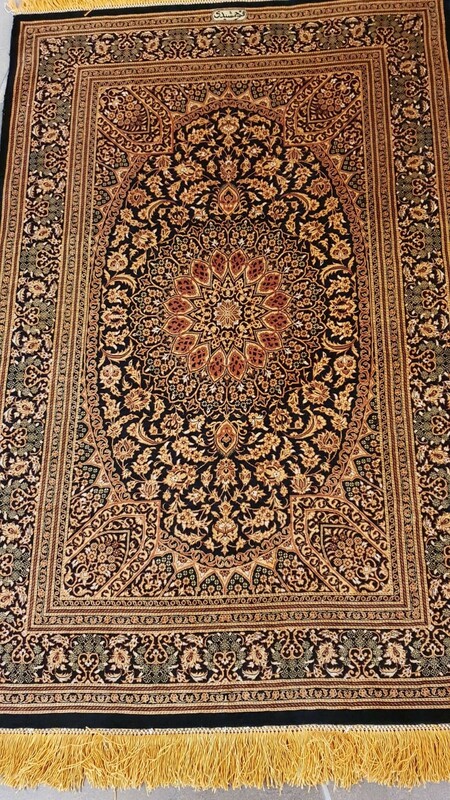 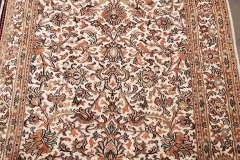 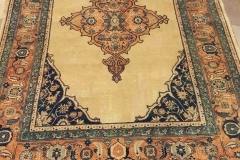 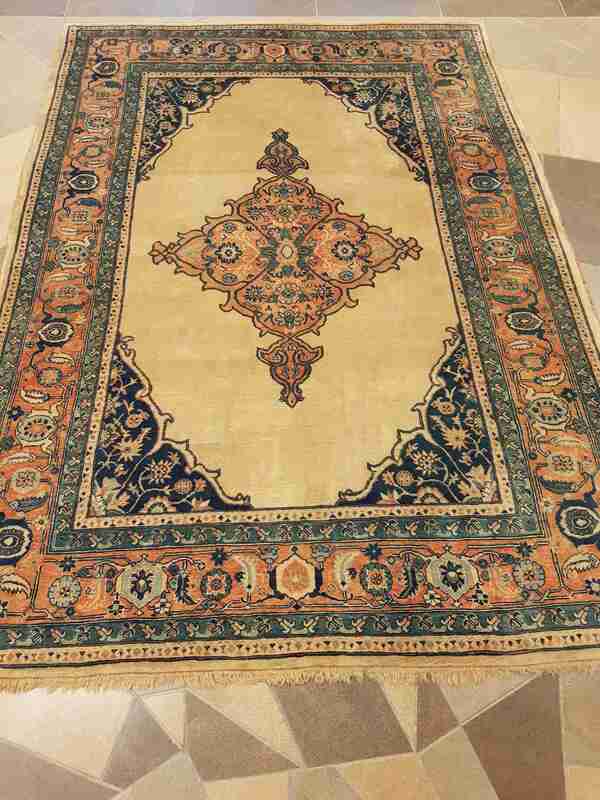 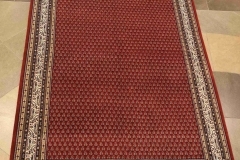 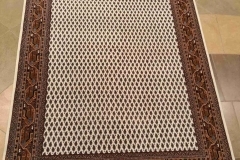 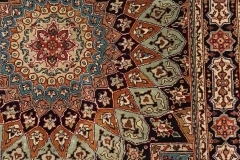 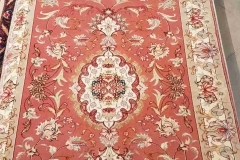 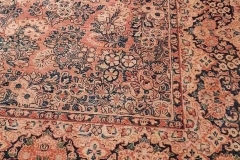 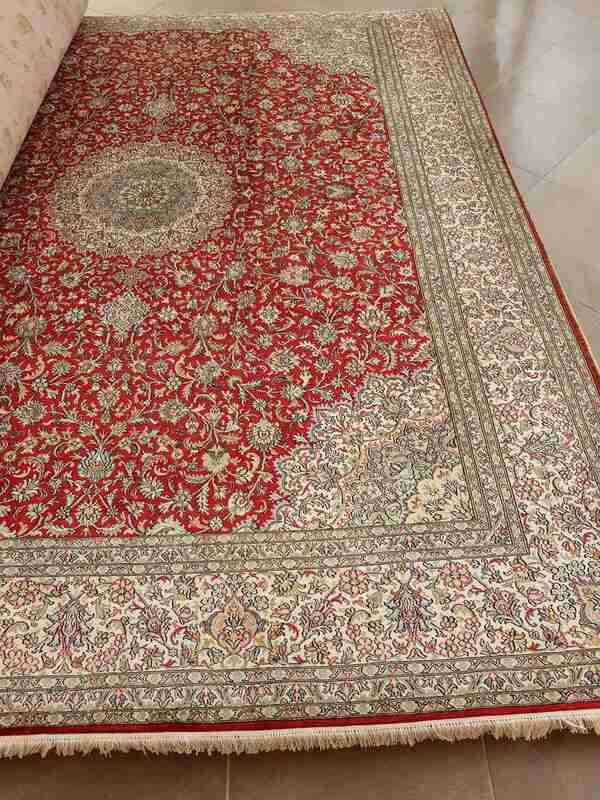 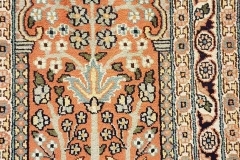 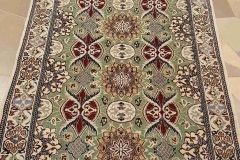 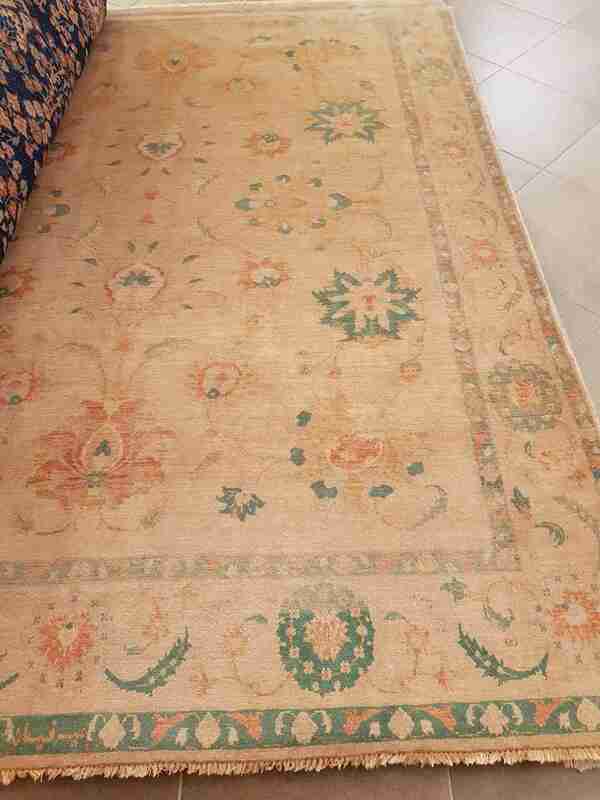 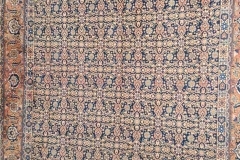 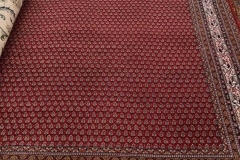 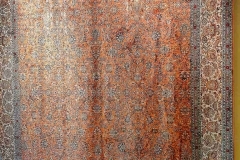 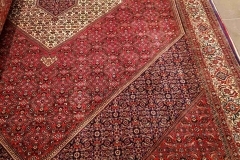 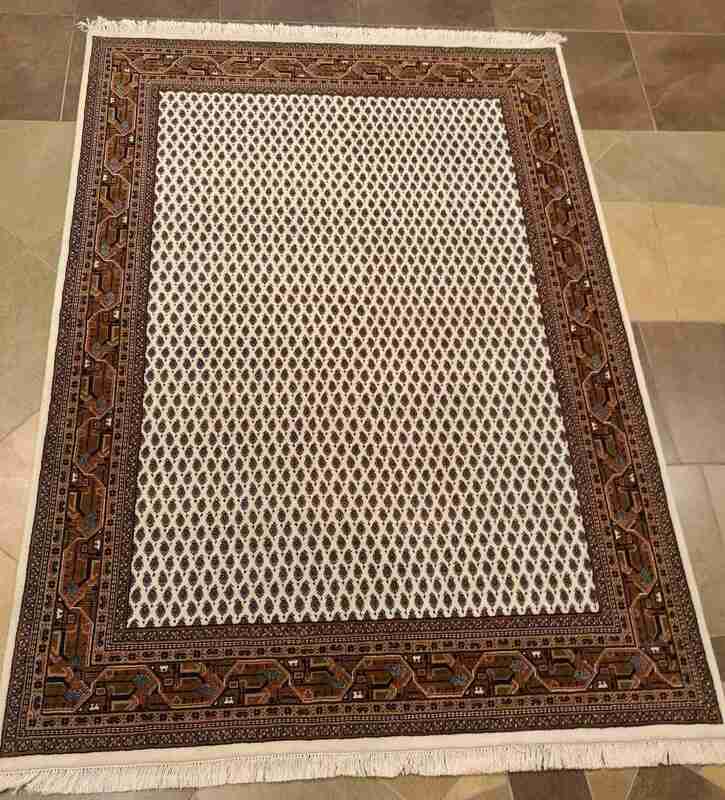 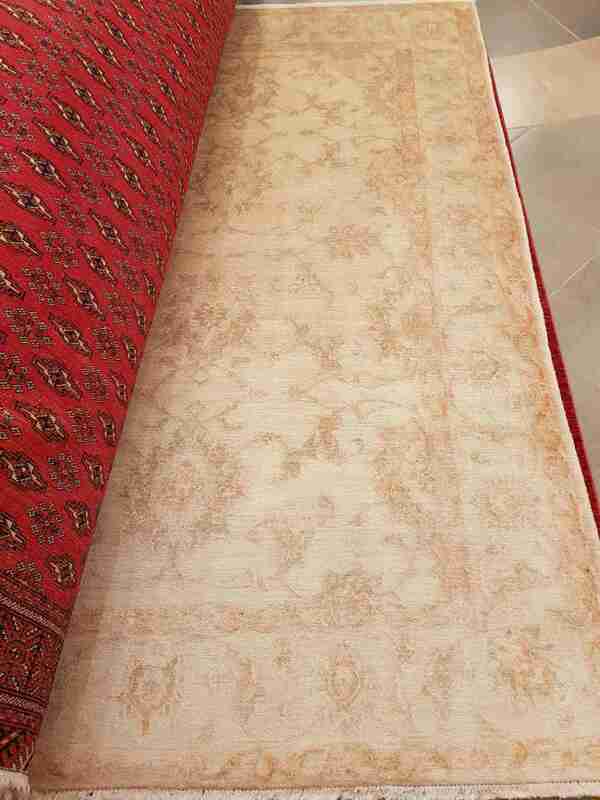 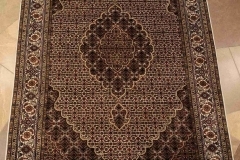 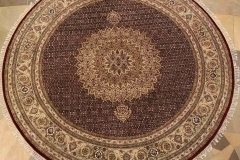 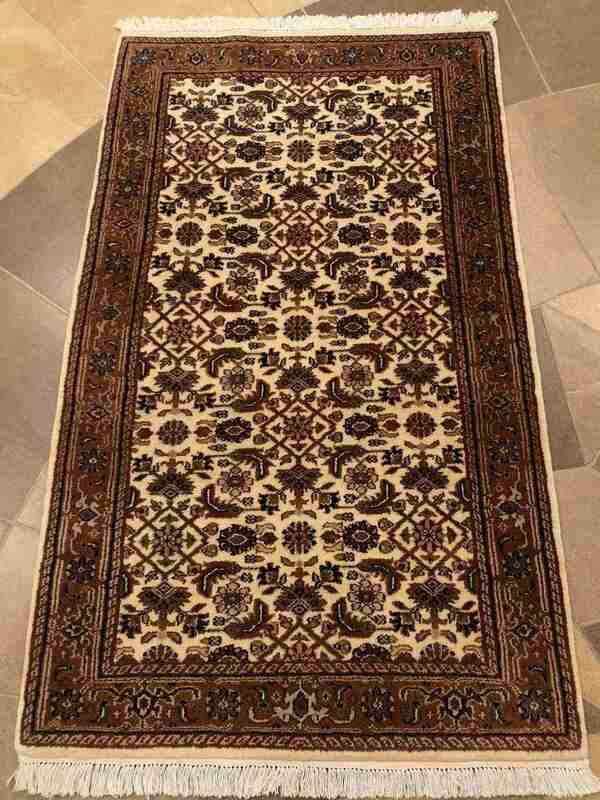 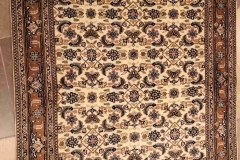 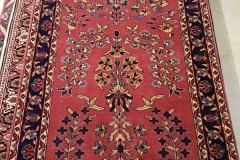 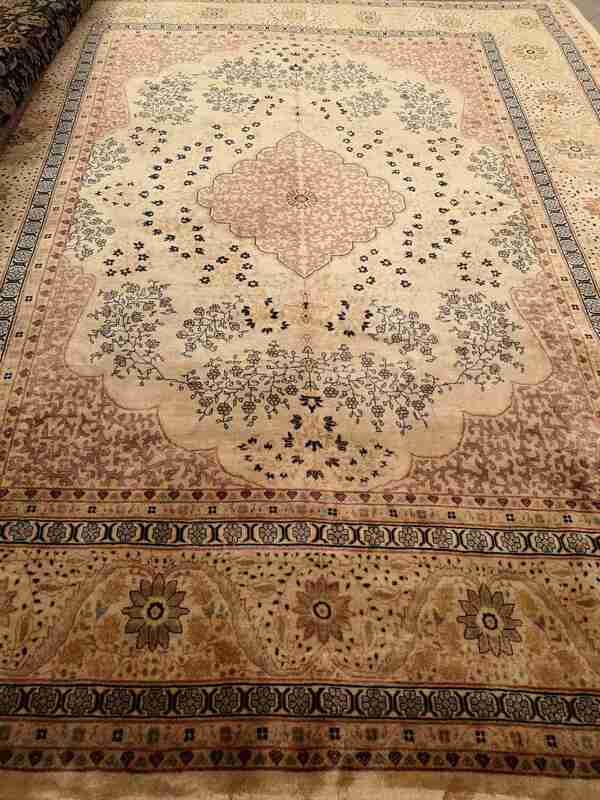 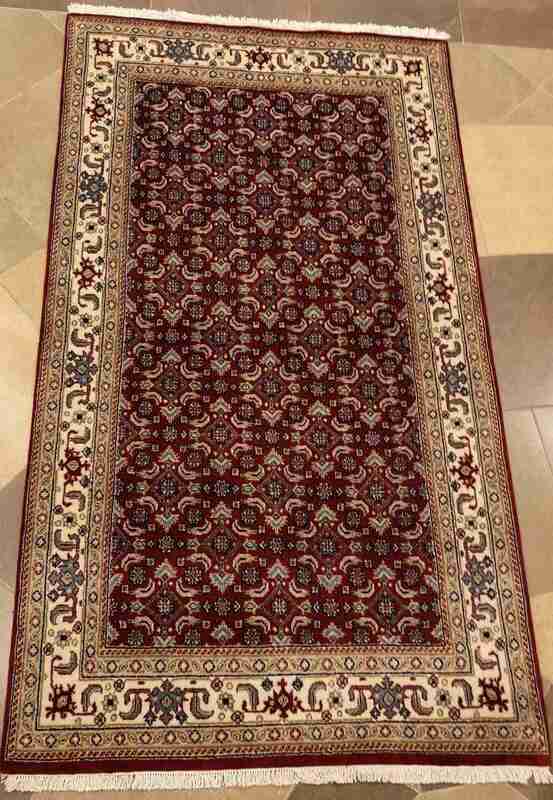 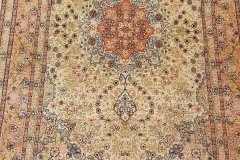 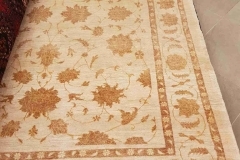 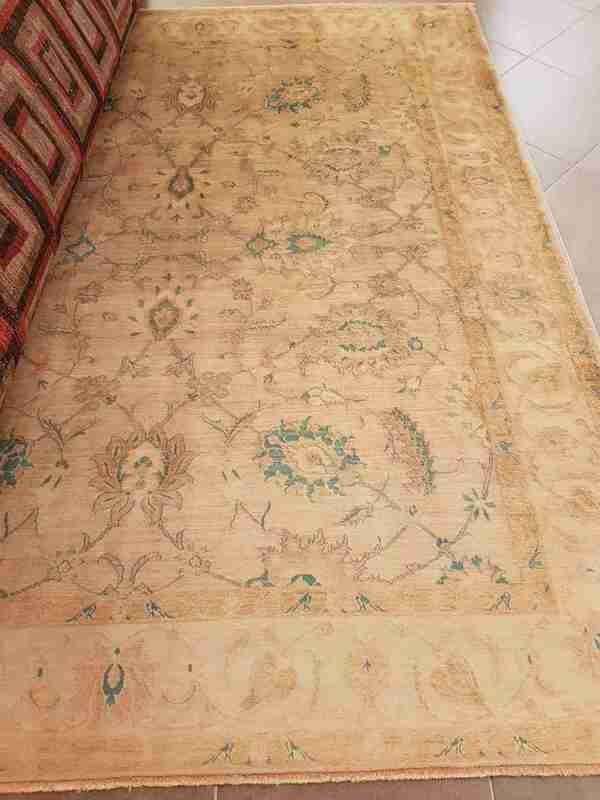 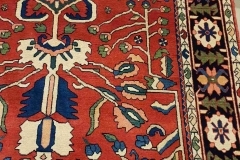 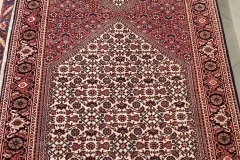 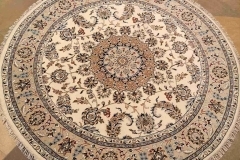 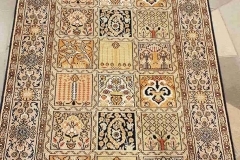 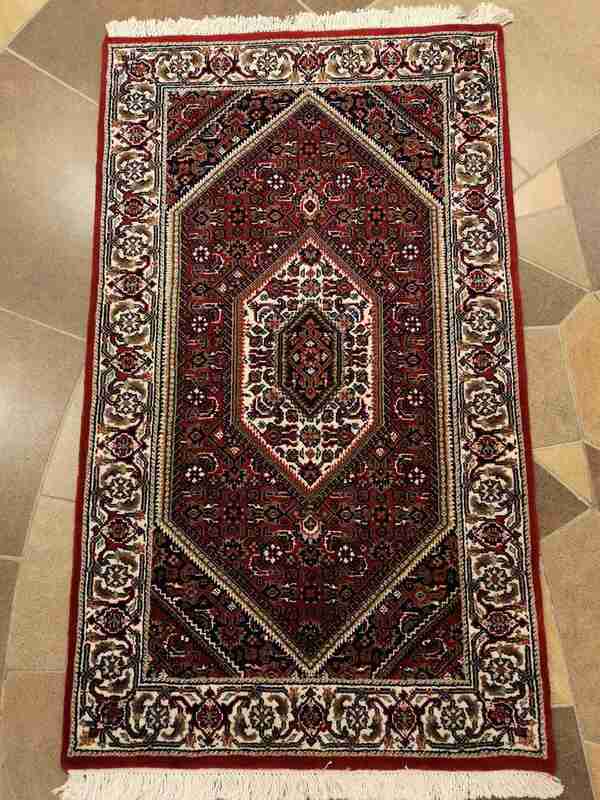 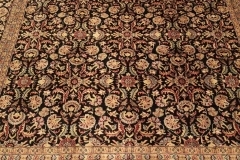 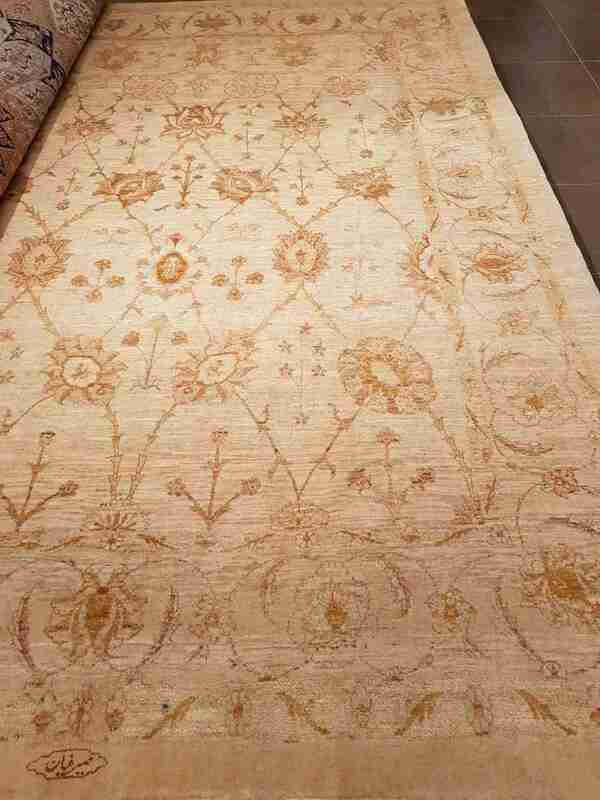 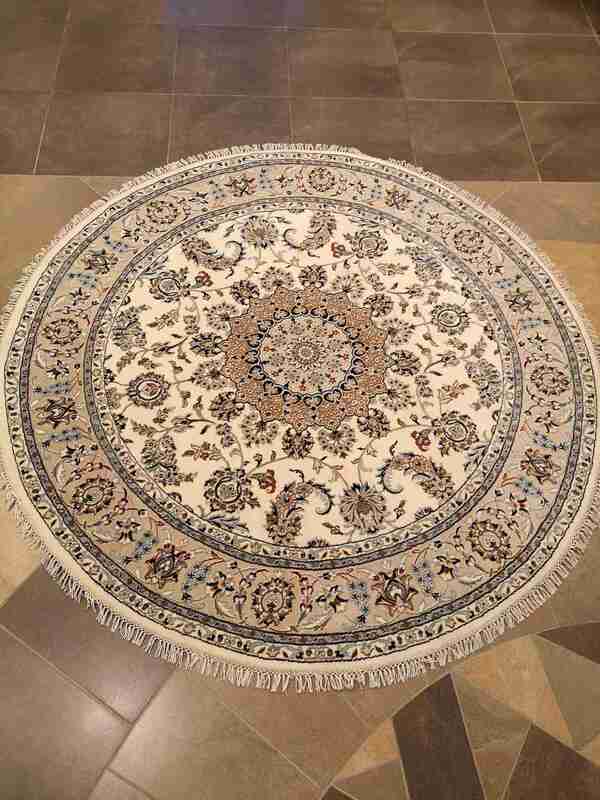 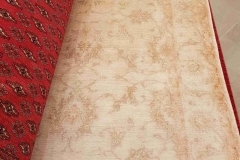 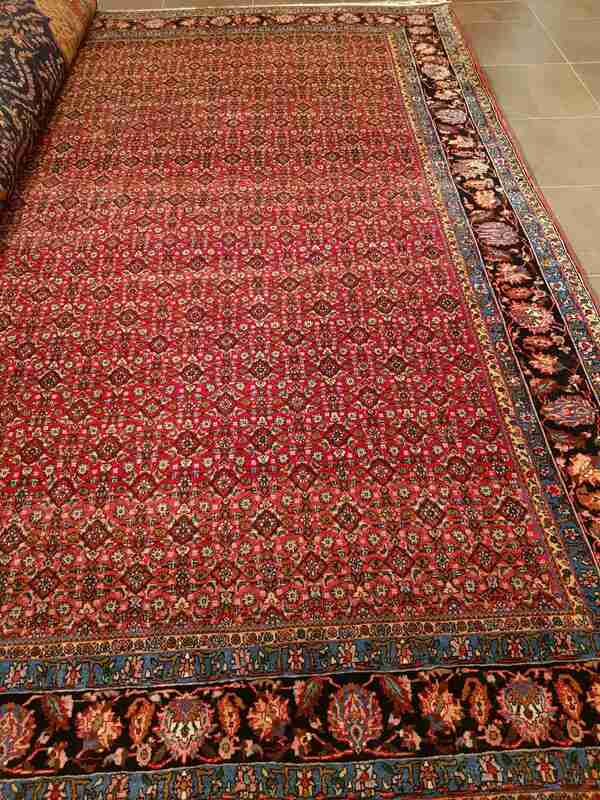 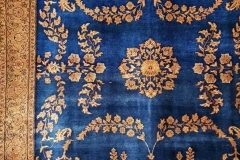 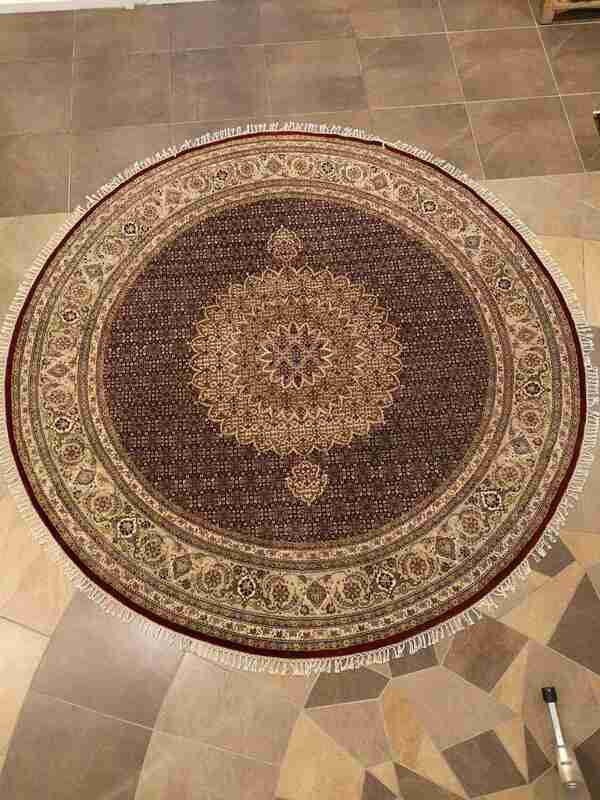 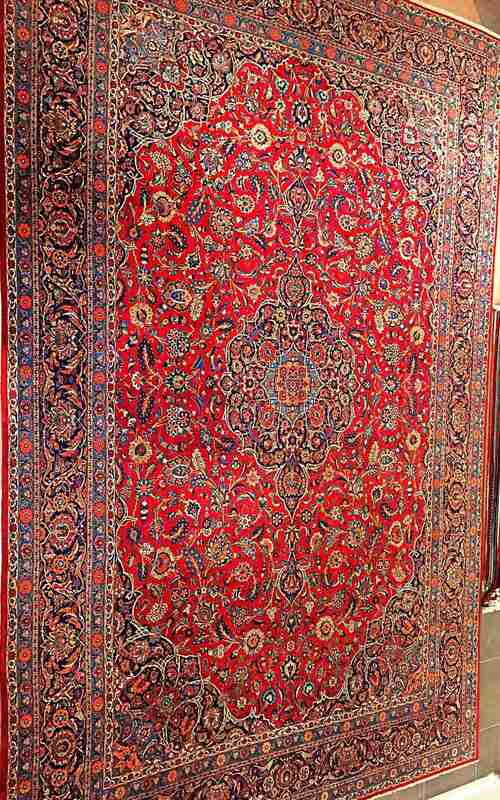 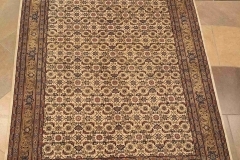 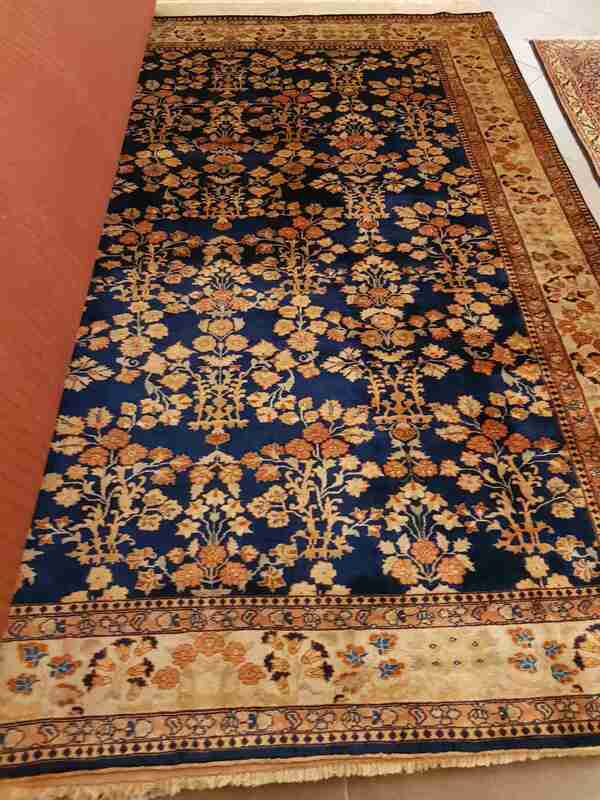 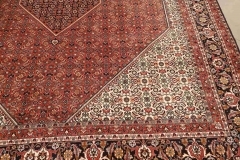 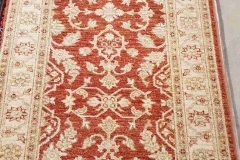 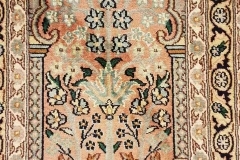 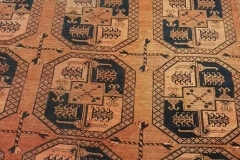 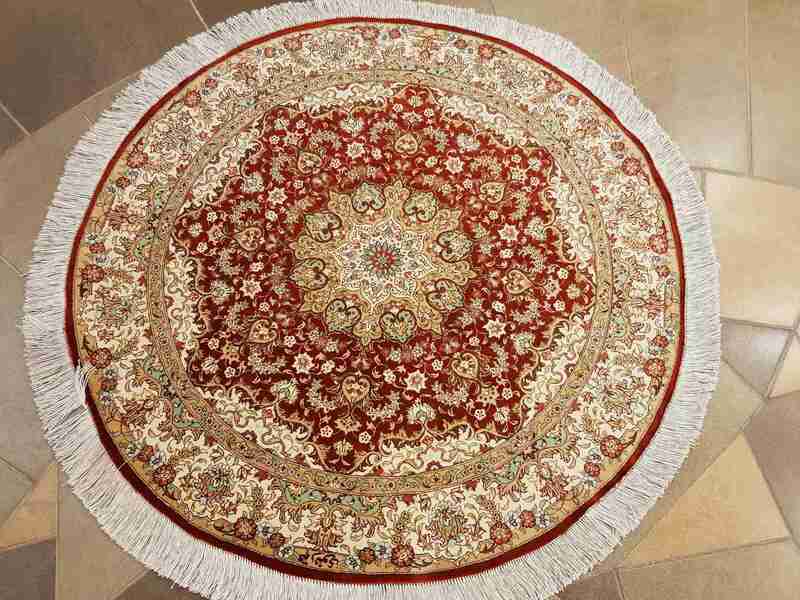 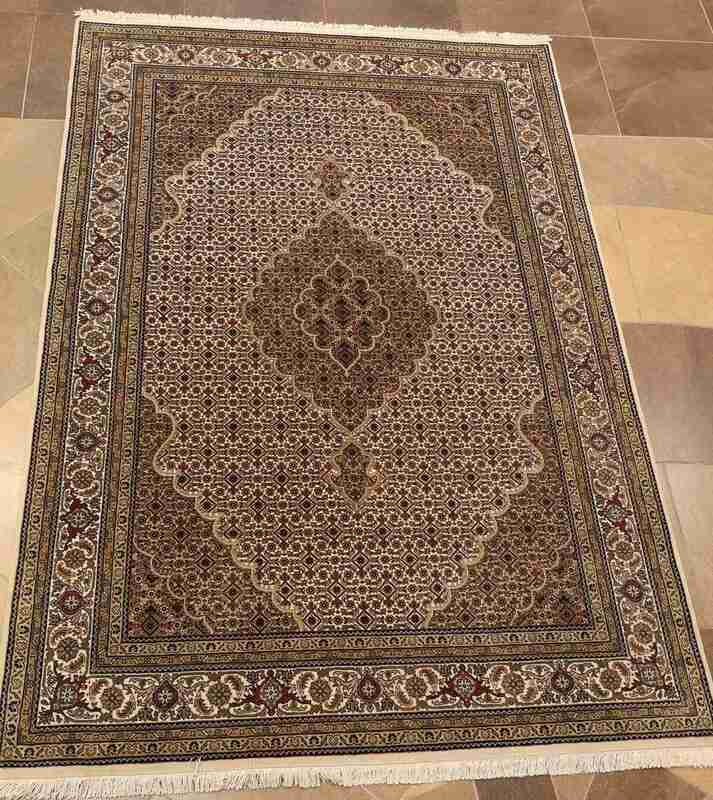 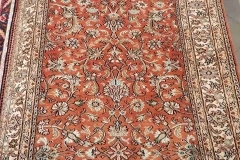 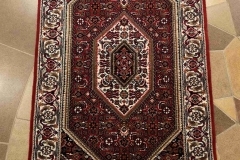 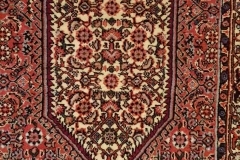 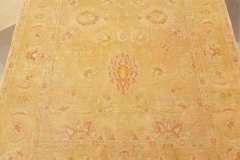 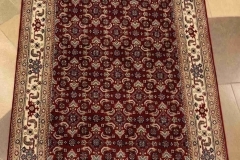 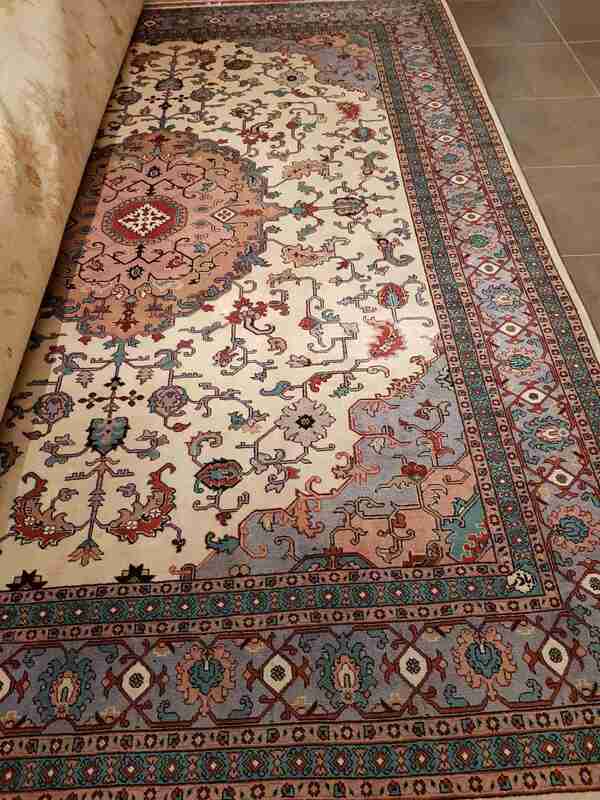 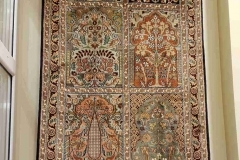 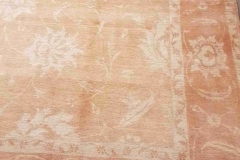 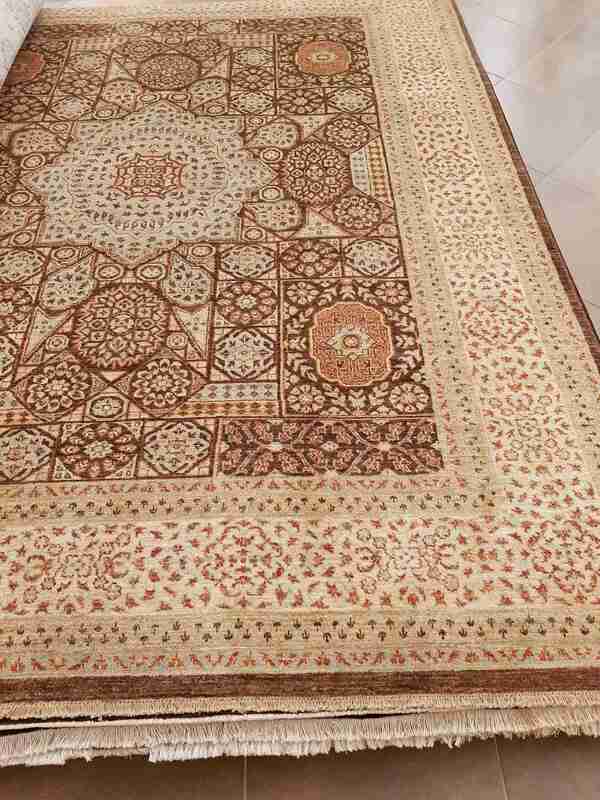 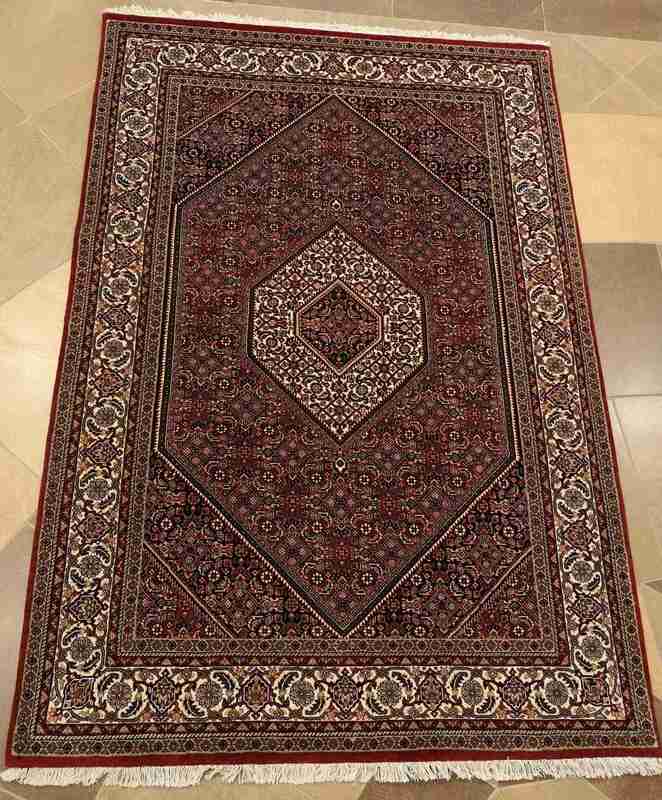 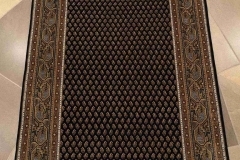 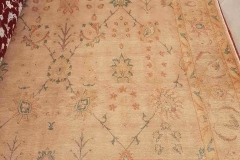 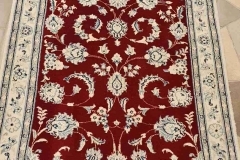 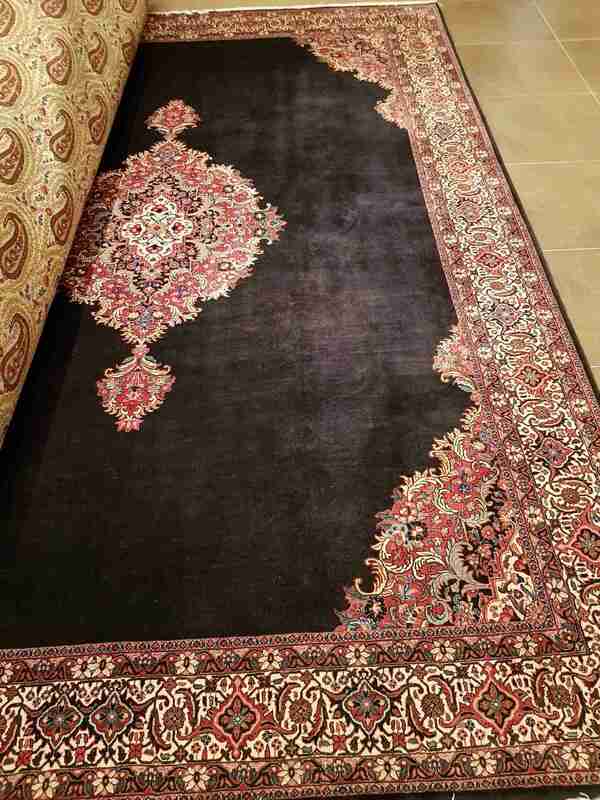 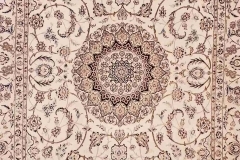 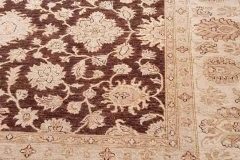 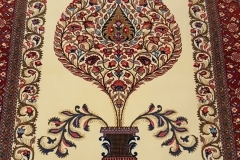 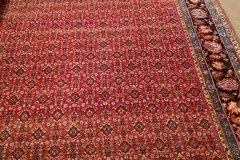 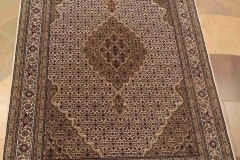 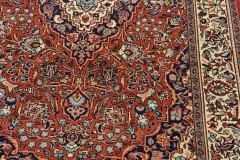 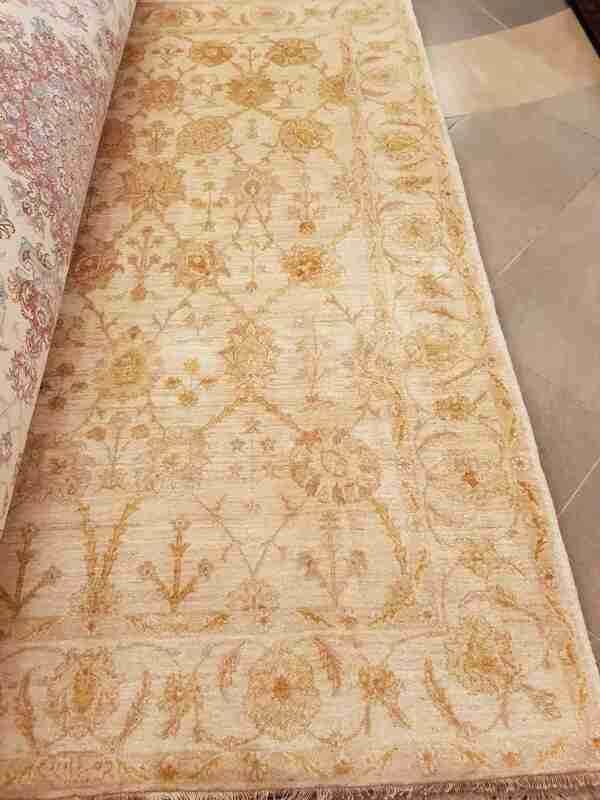 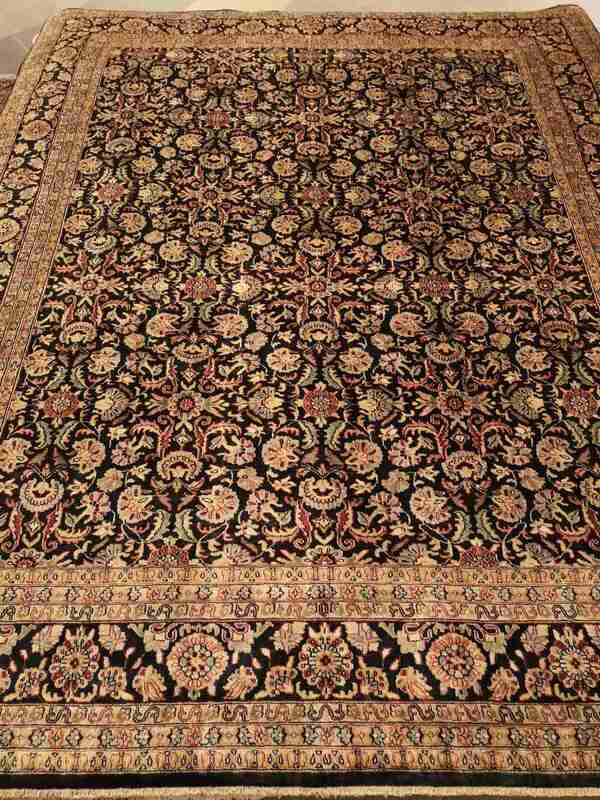 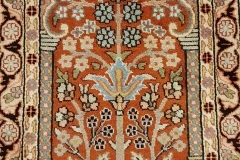 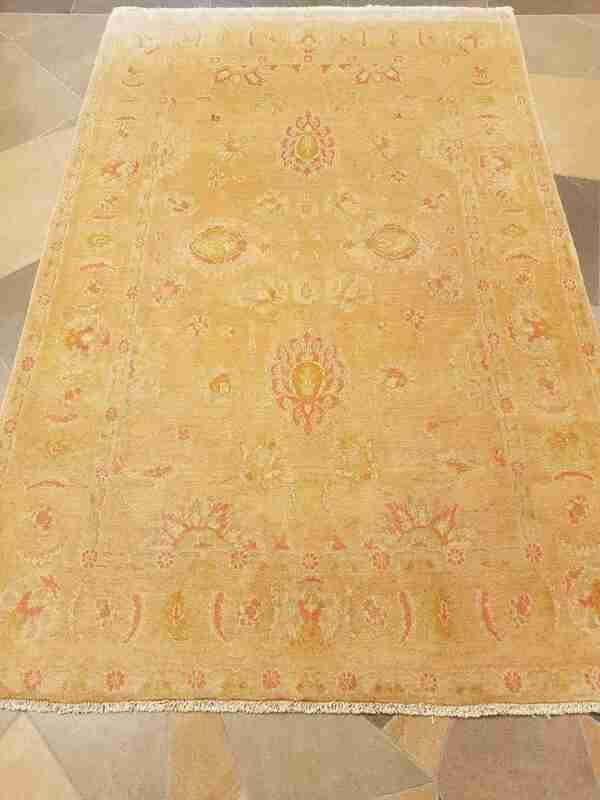 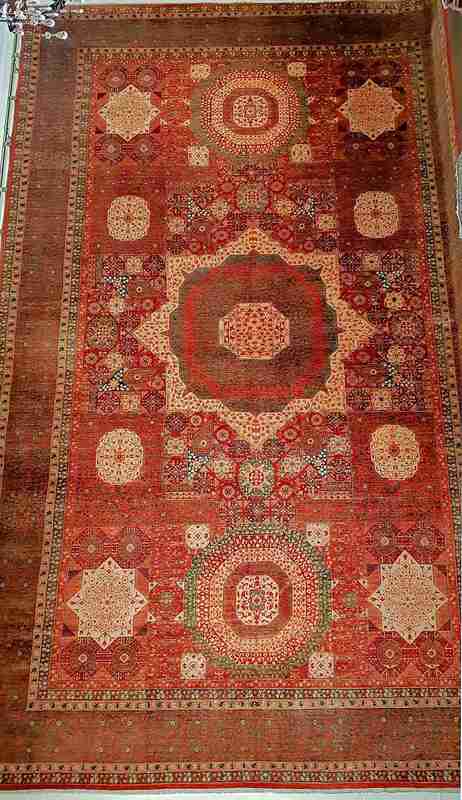 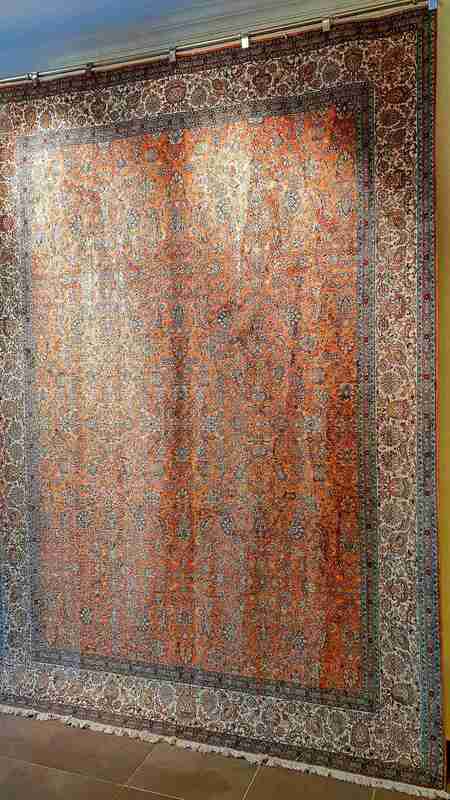 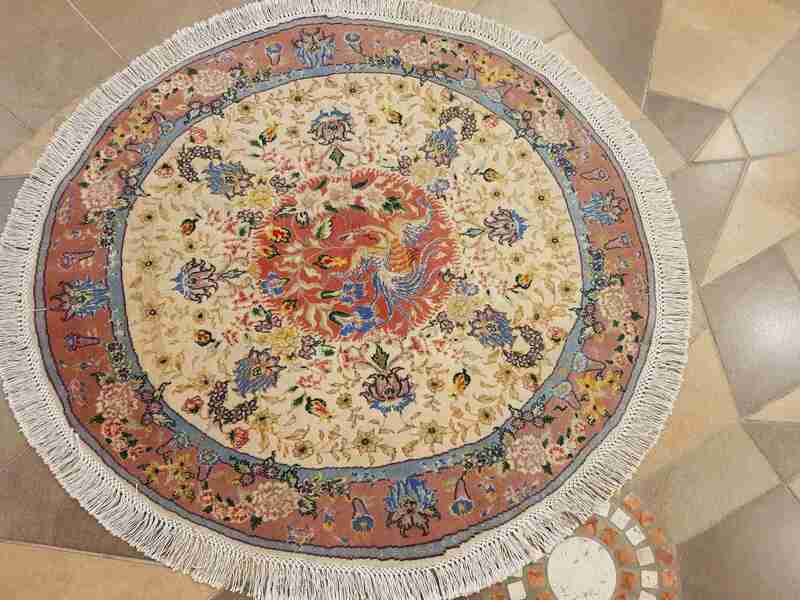 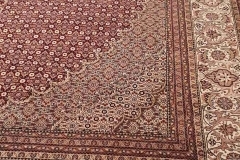 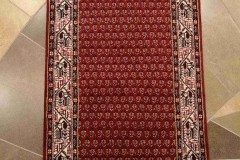 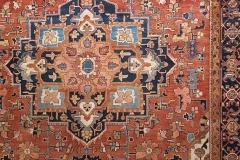 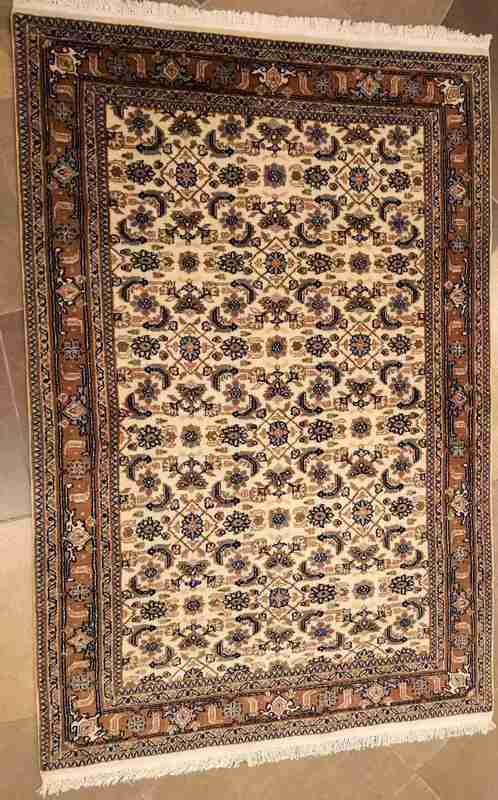 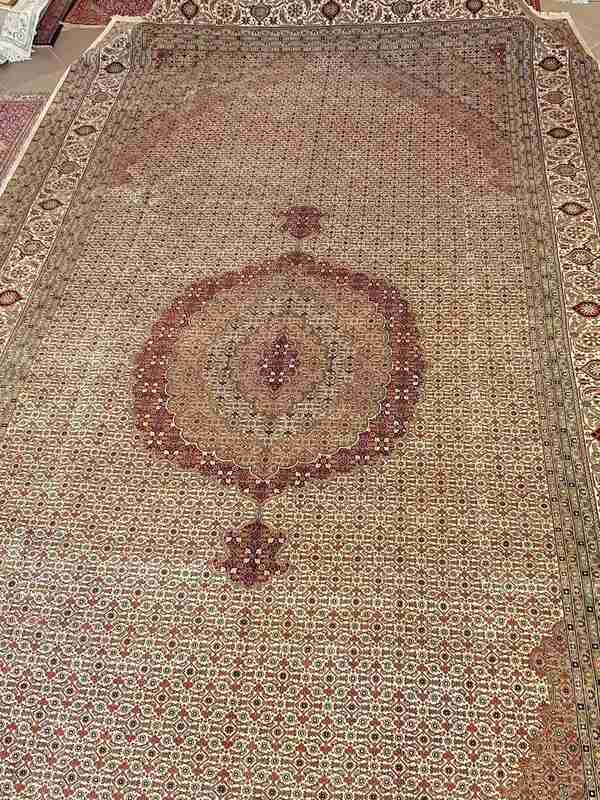 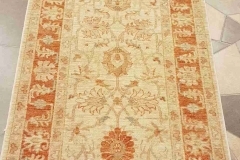 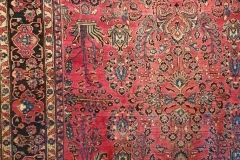 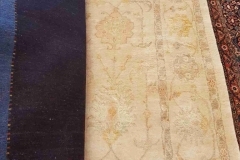 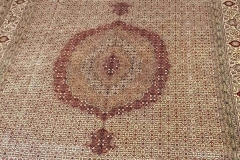 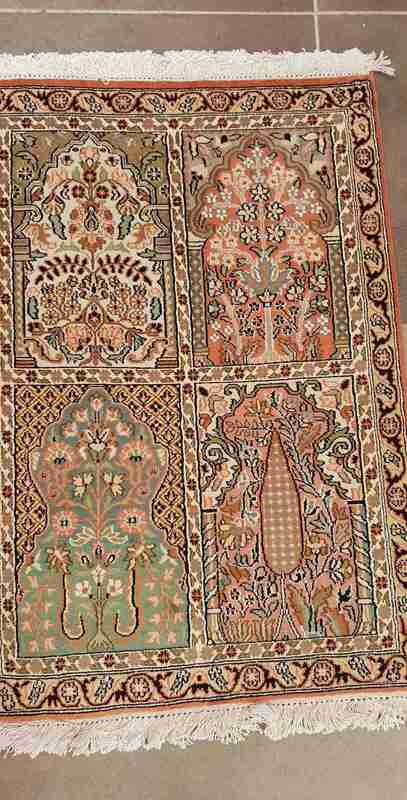 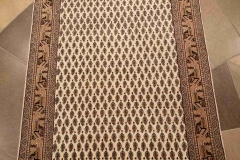 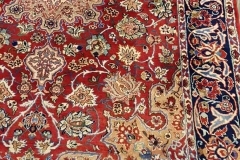 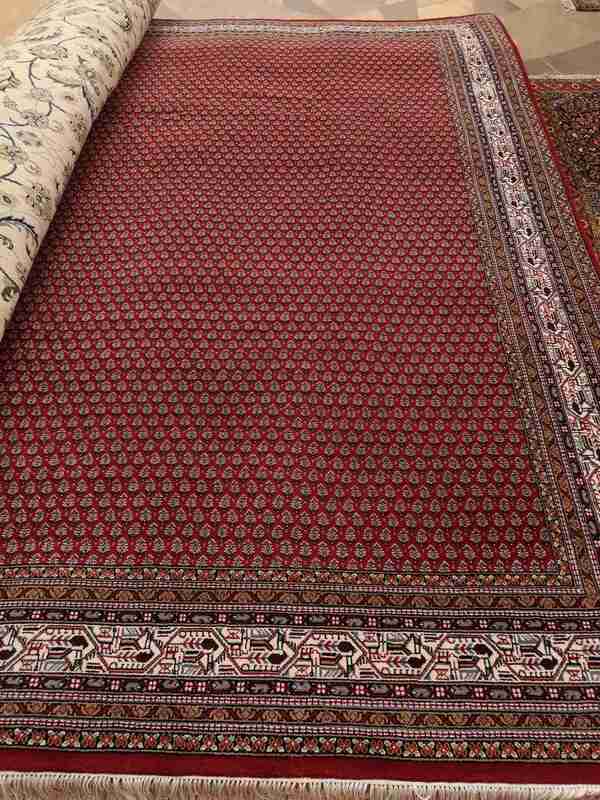 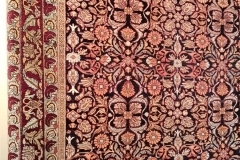 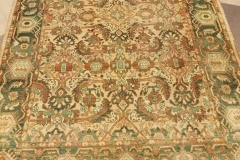 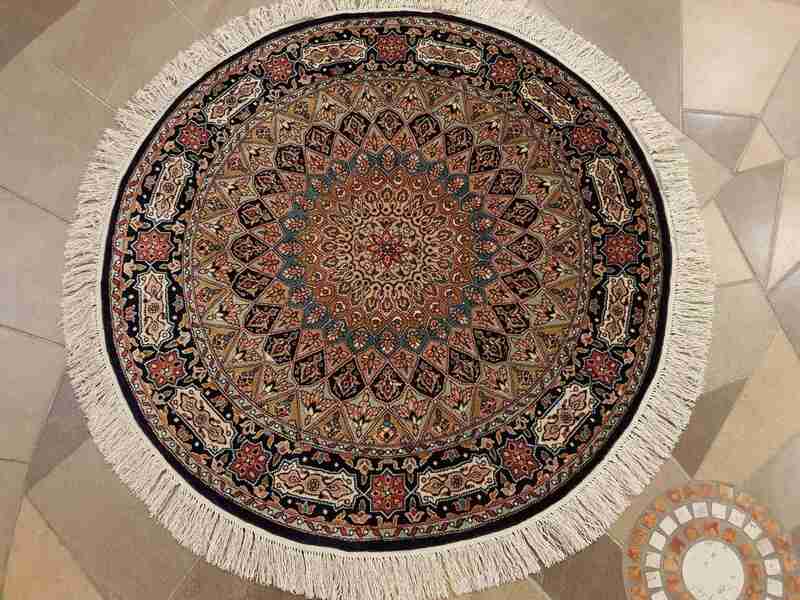 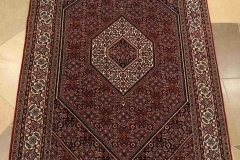 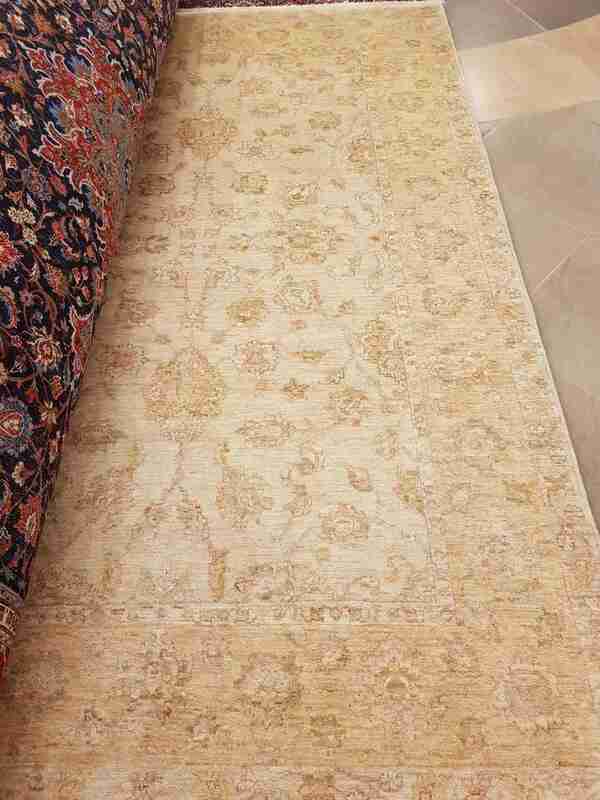 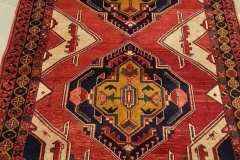 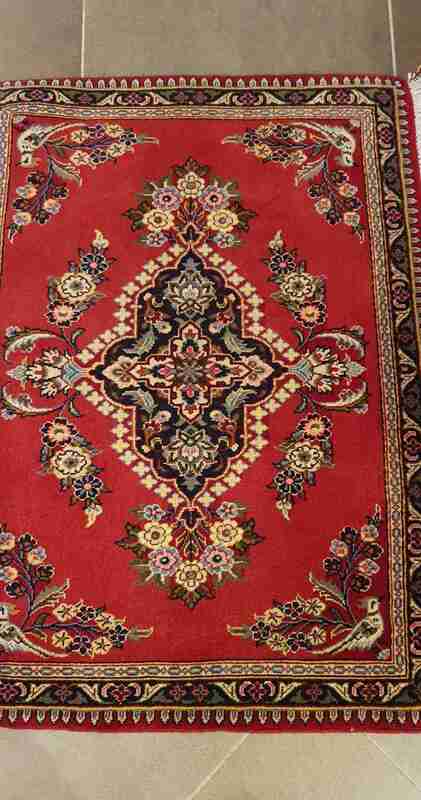 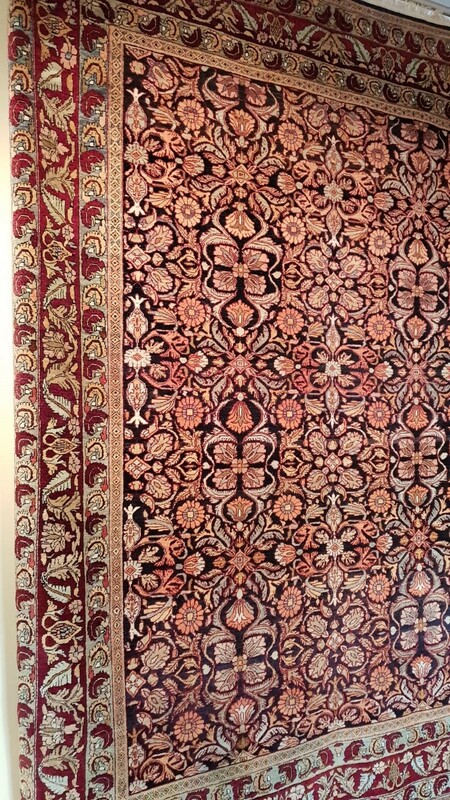 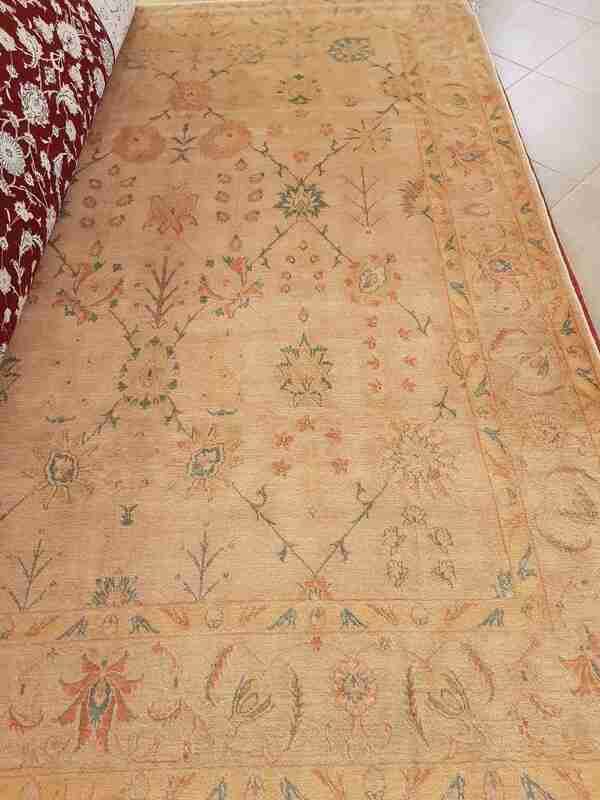 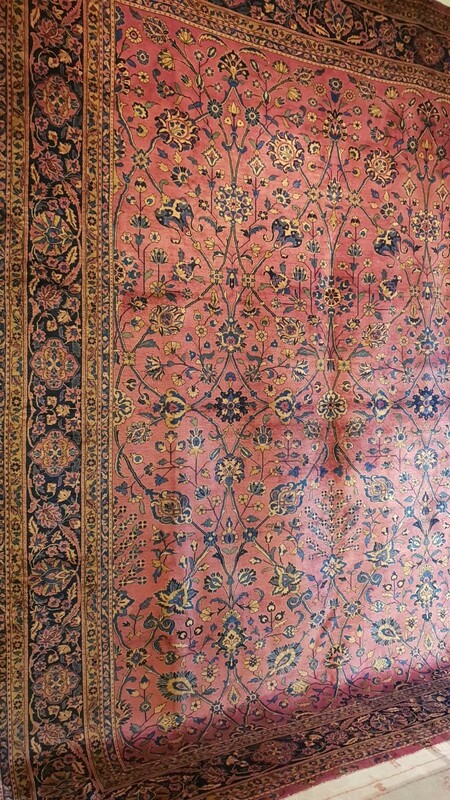 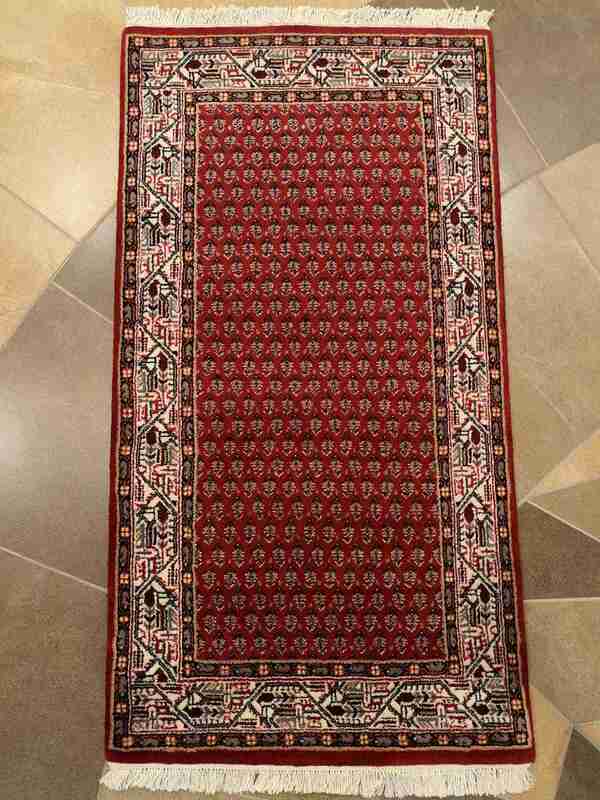 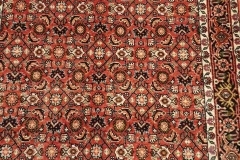 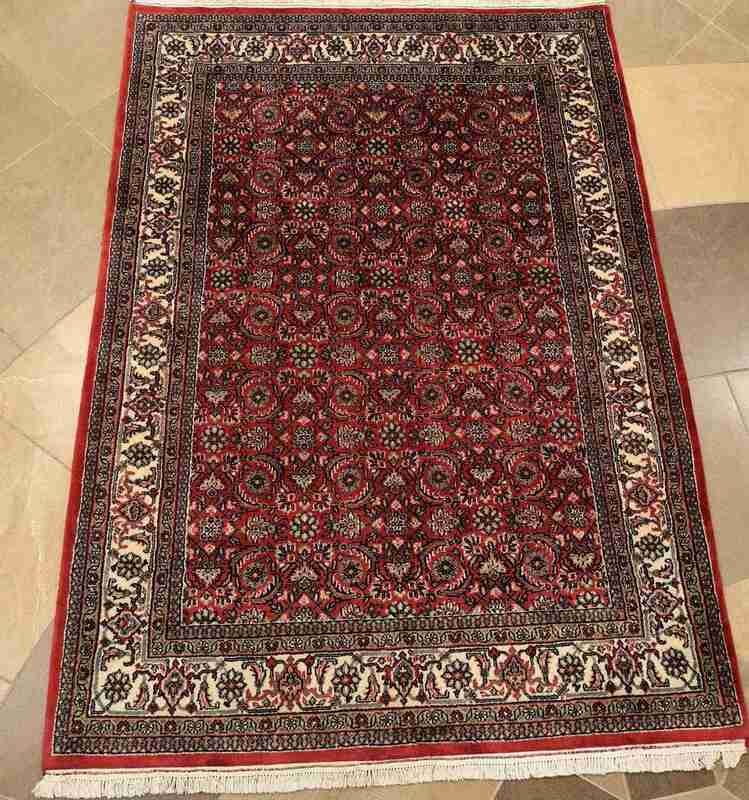 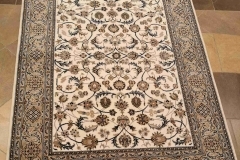 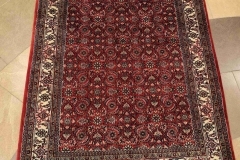 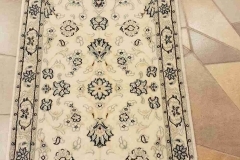 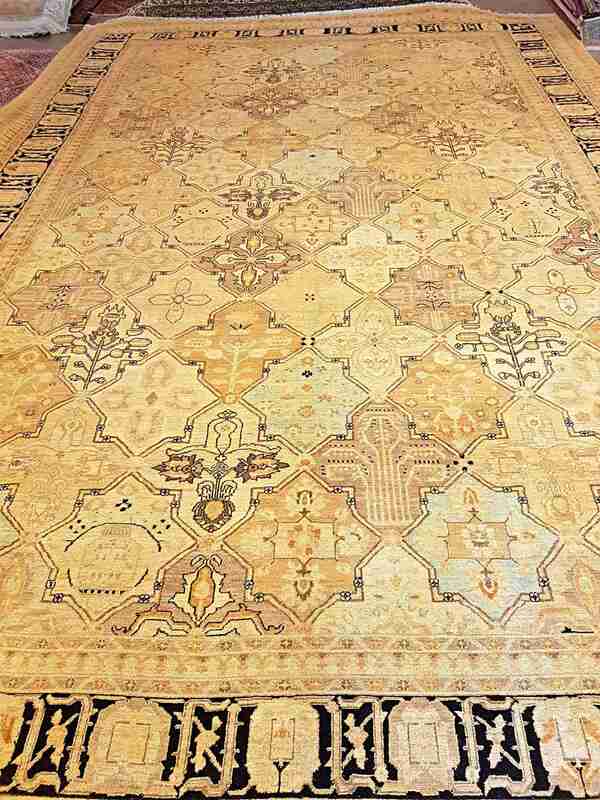 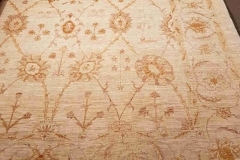 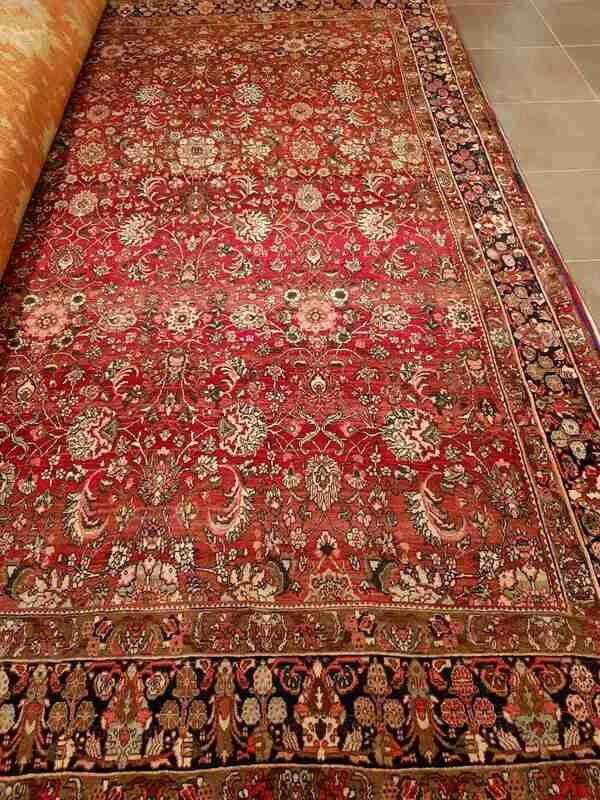 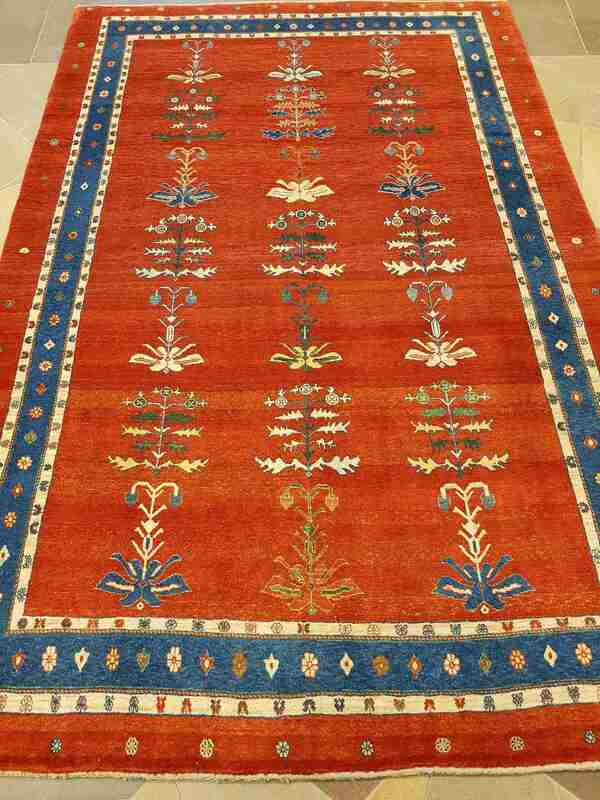 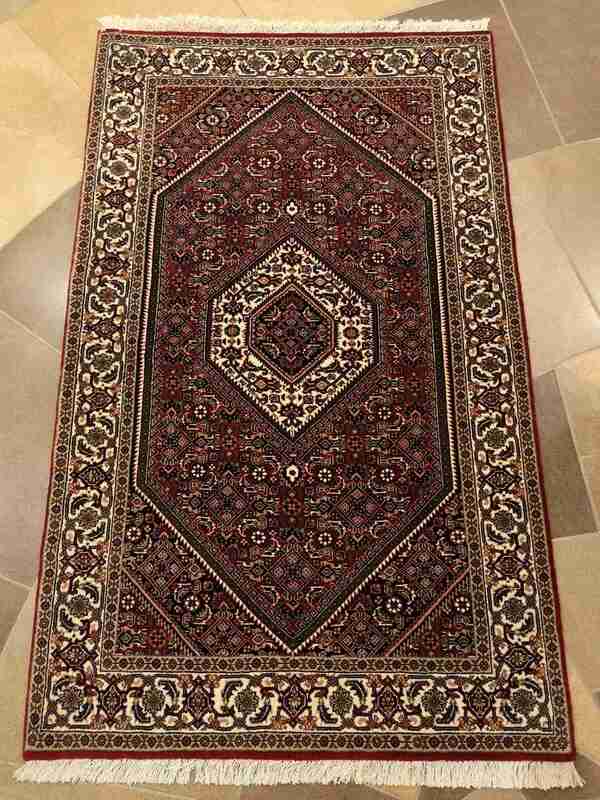 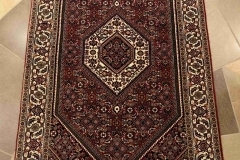 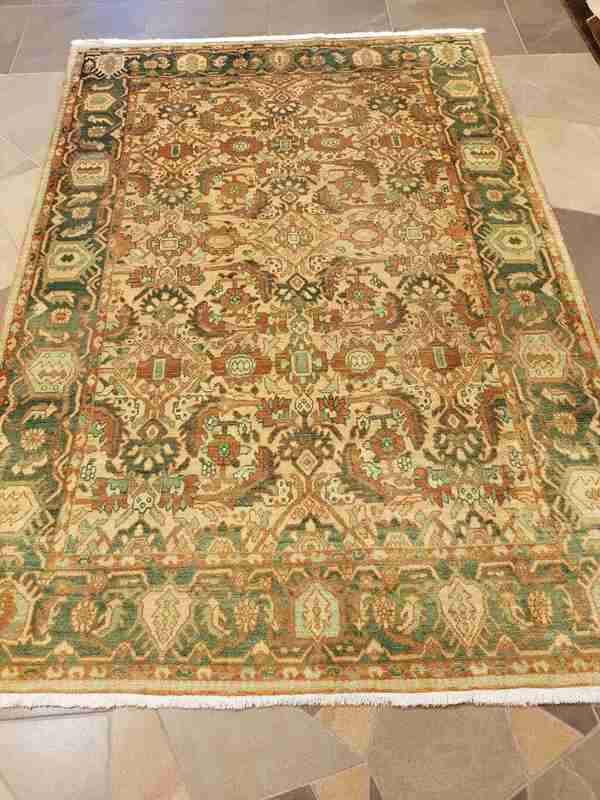 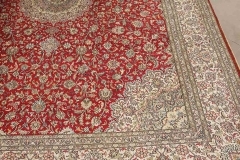 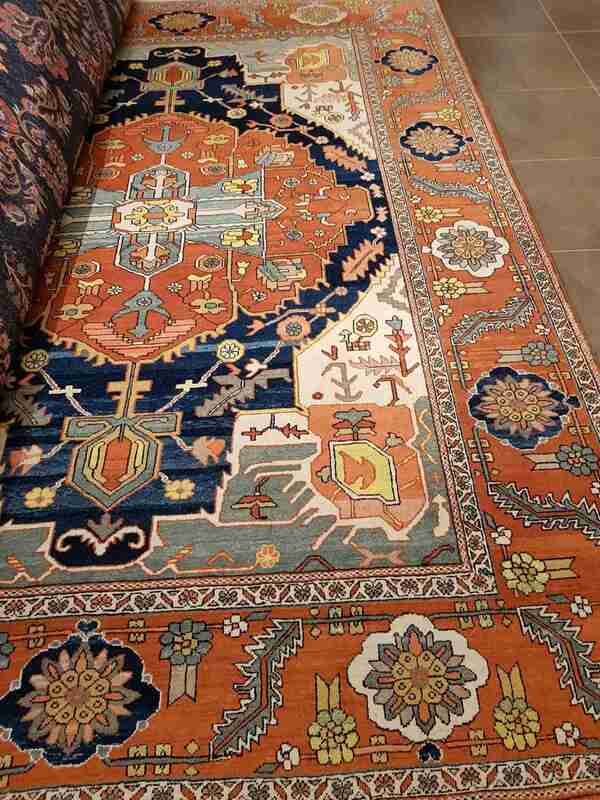 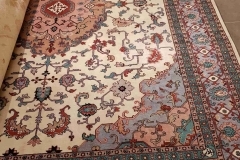 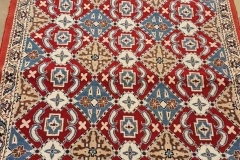 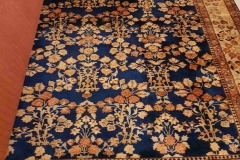 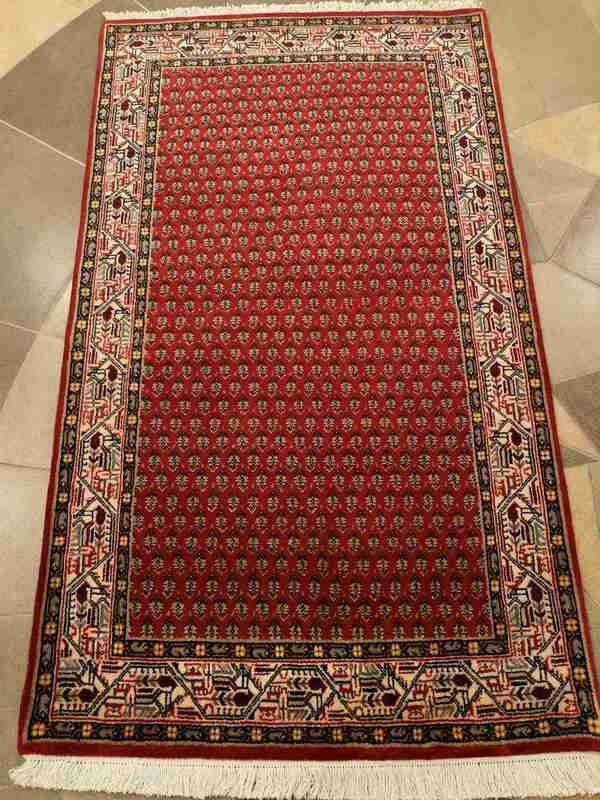 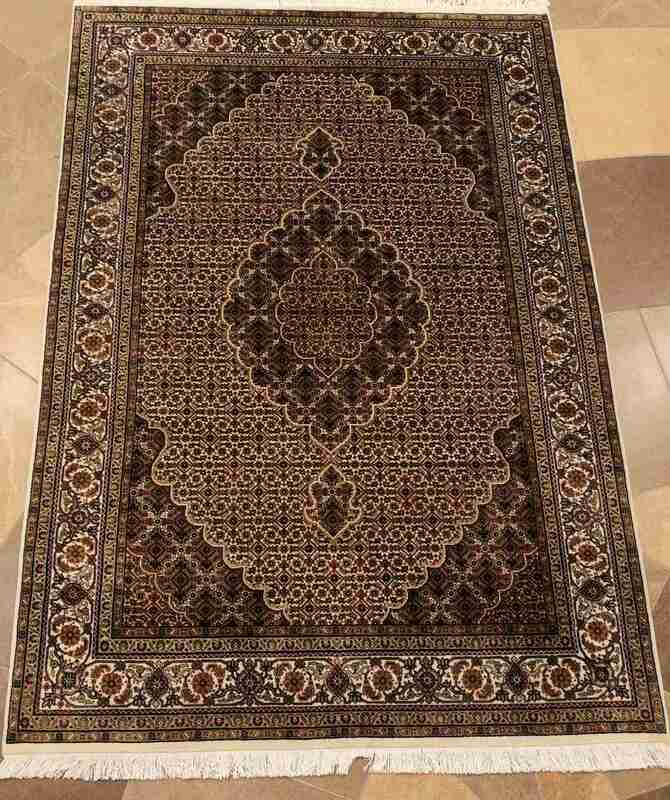 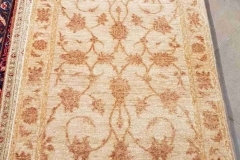 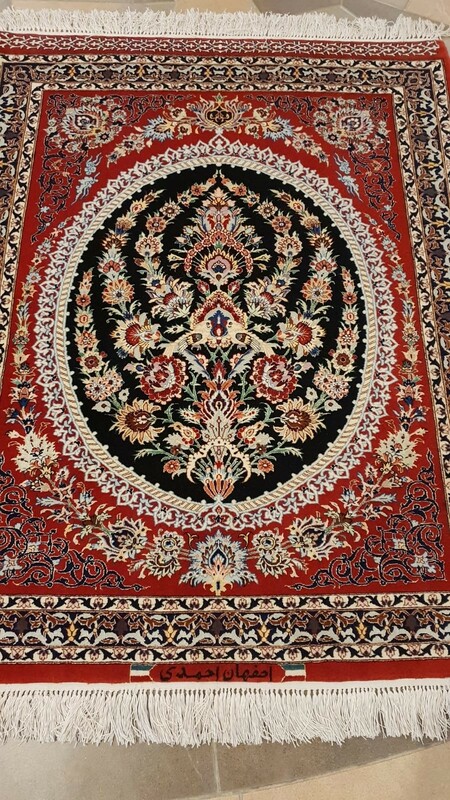 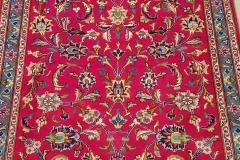 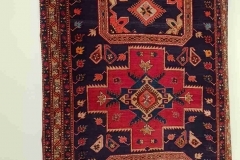 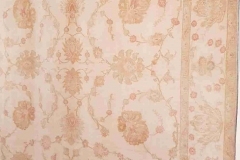 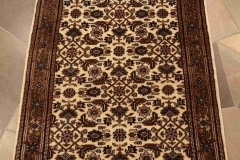 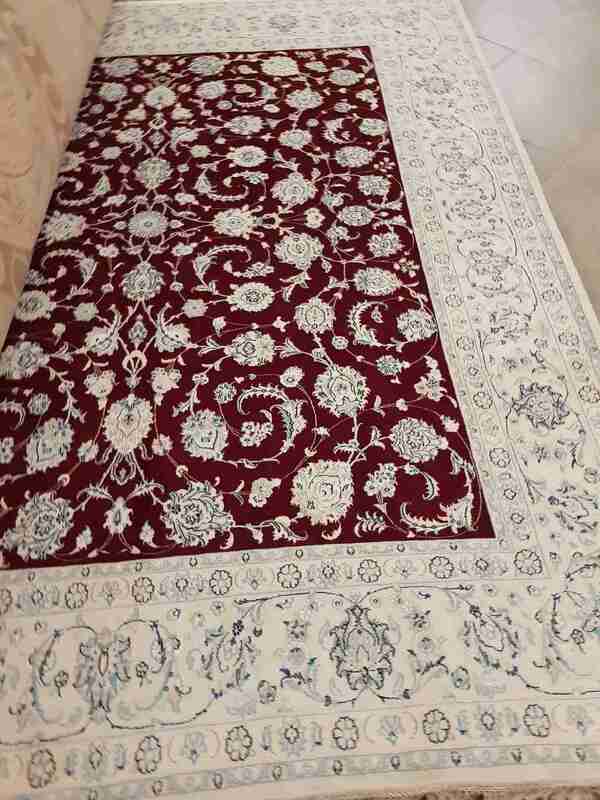 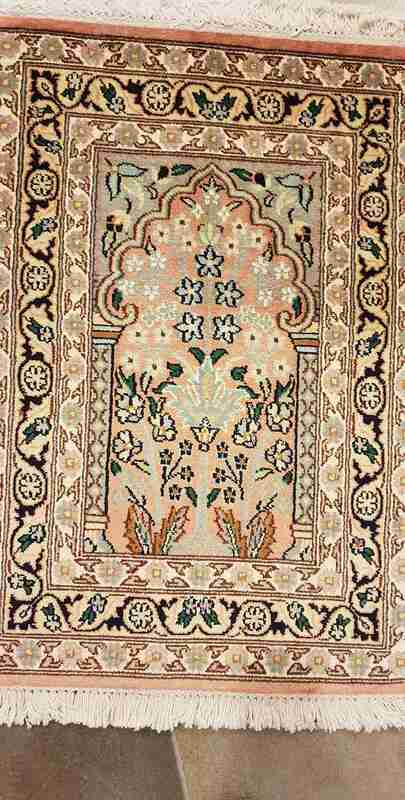 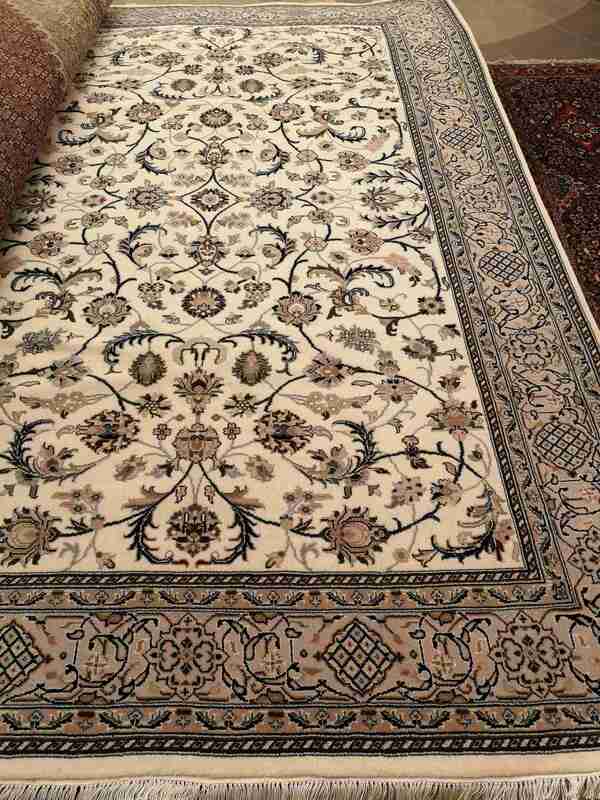 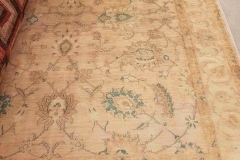 The key factors for the quality of an Oriental carpet are its knot density and materials. 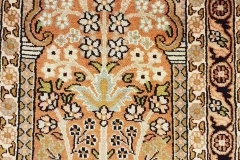 For your convenience, we will also be open on 19th, 20th and 22nd April from 11 a.m. till 5 p.m.